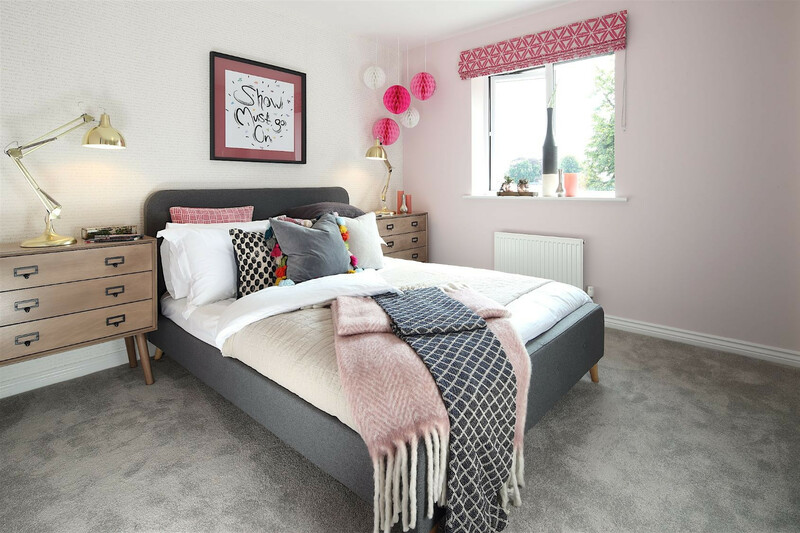 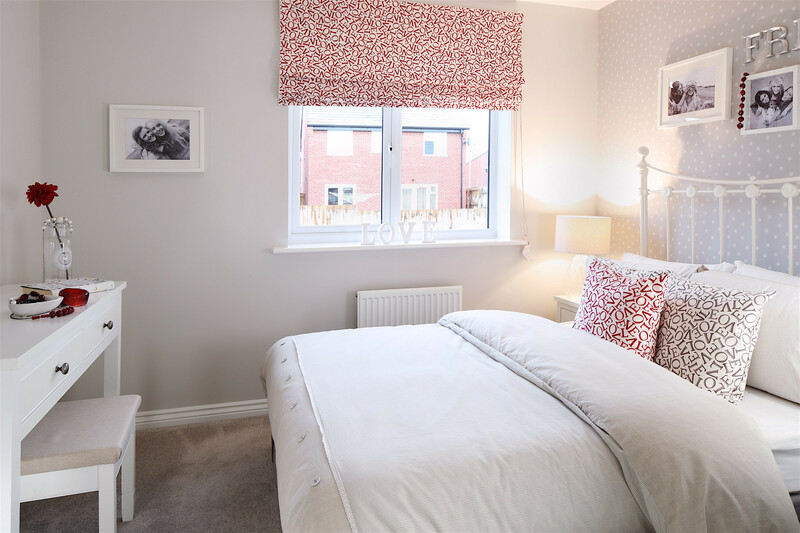 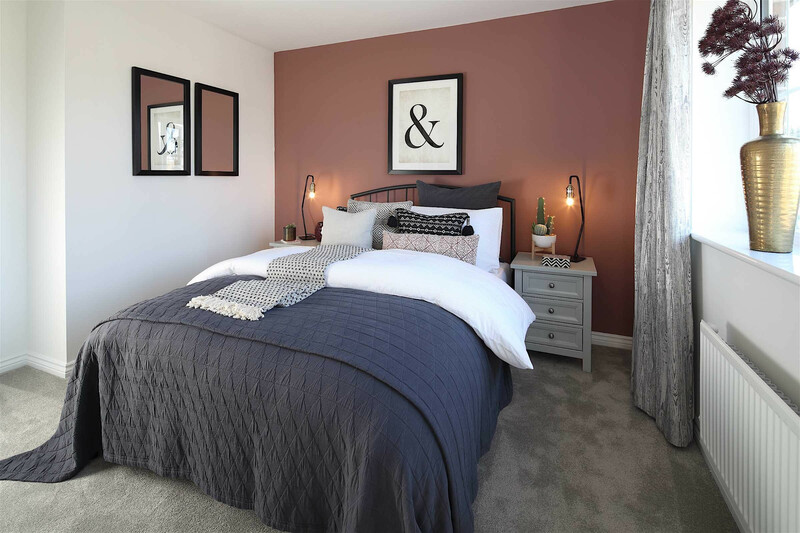 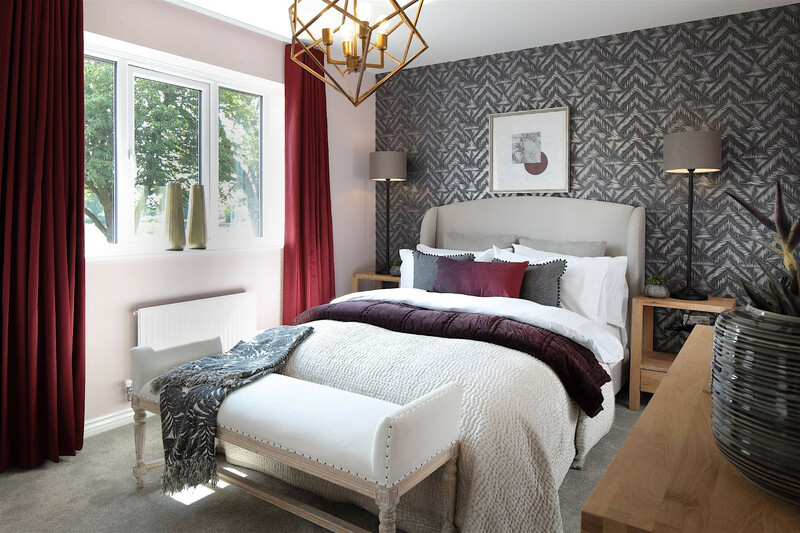 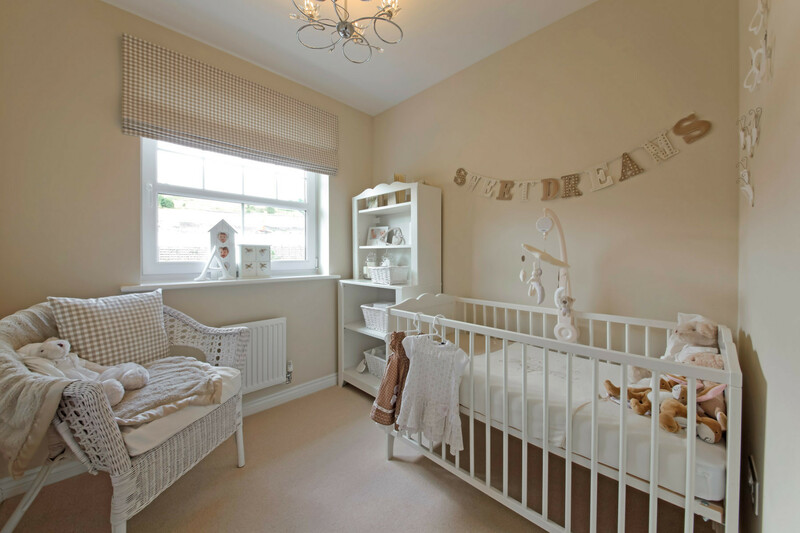 Spring Croft gives you the chance to own your dream home in the heart of Cheshire, boasting a collection of 3 & 4 bedroom new homes, ideal for growing families. 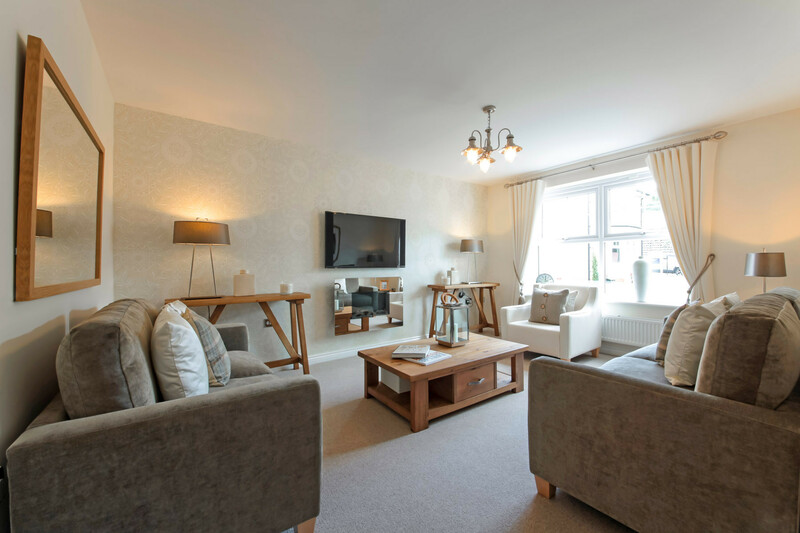 Winsford benefits from a great range of amenities. 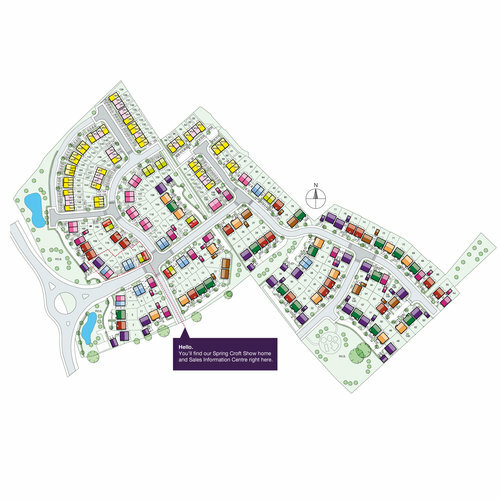 From shops, pubs and cafés, to a leisure centre, swimming pool and sports grounds, Winsford has something for everyone. 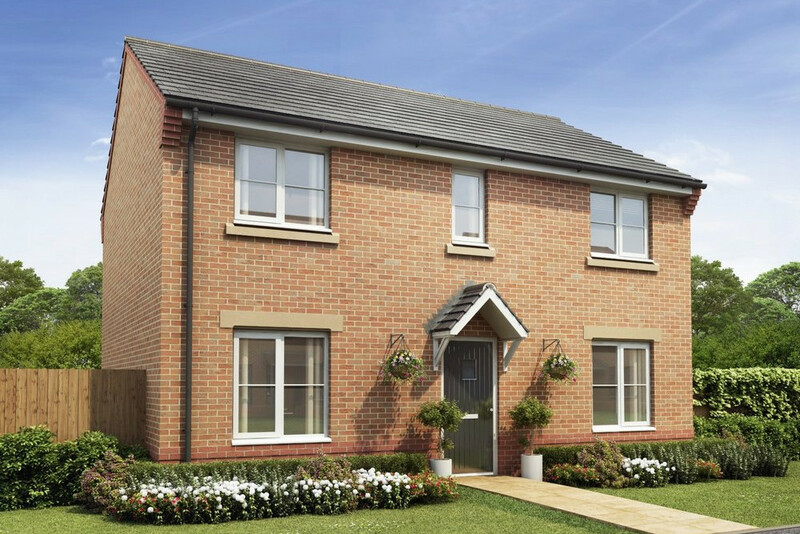 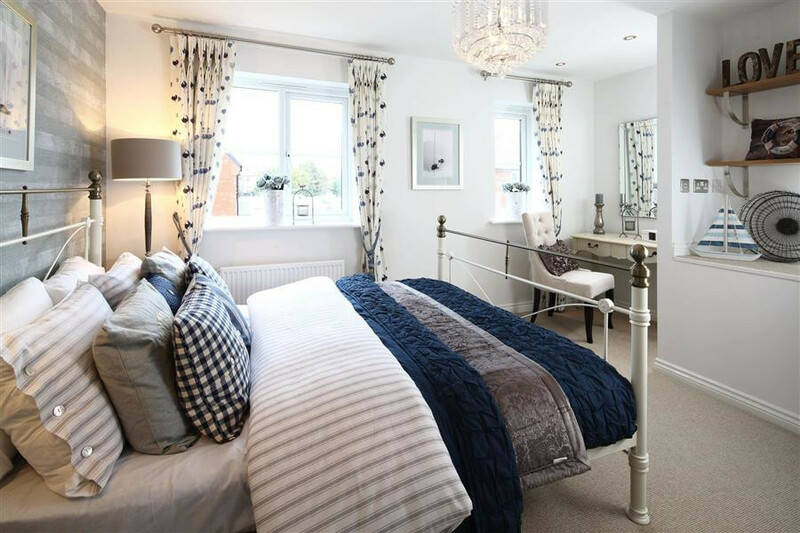 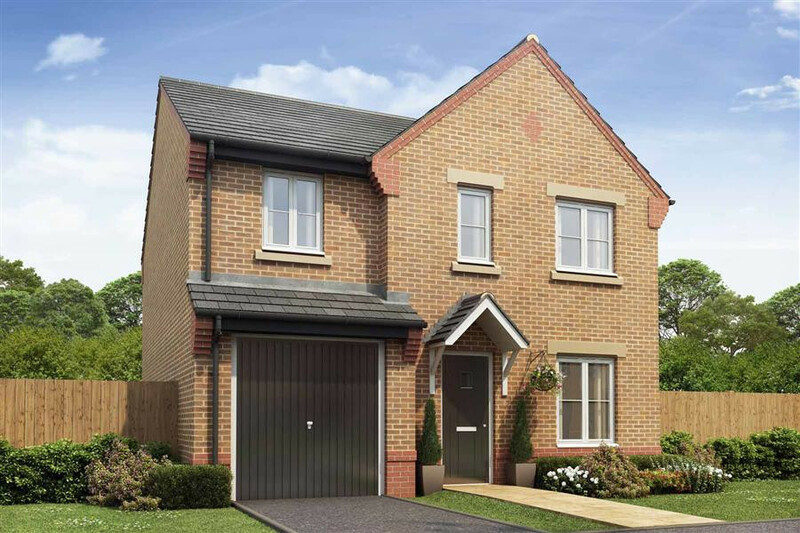 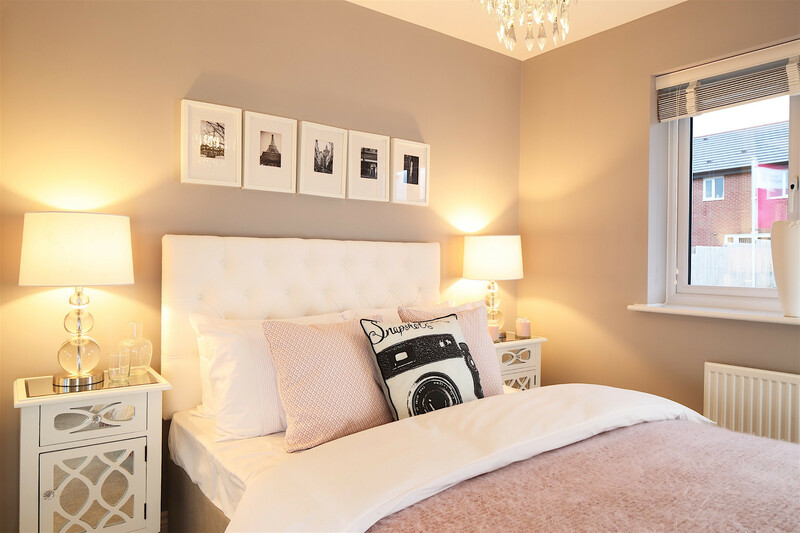 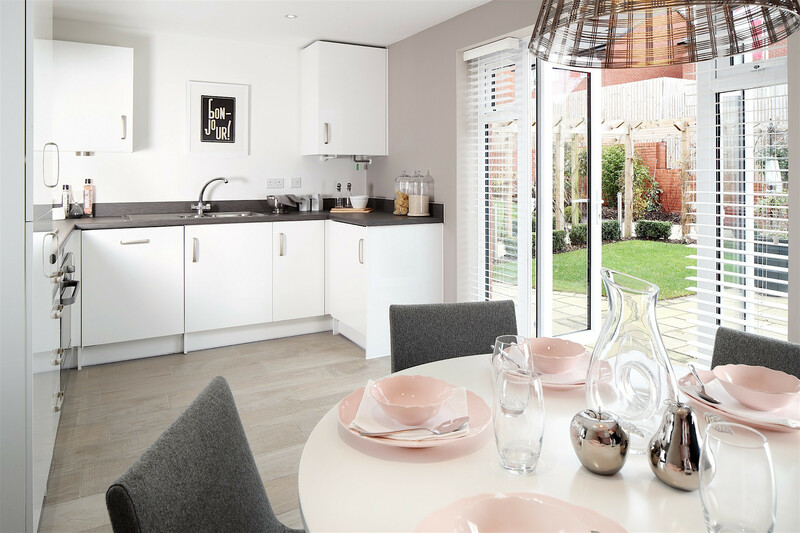 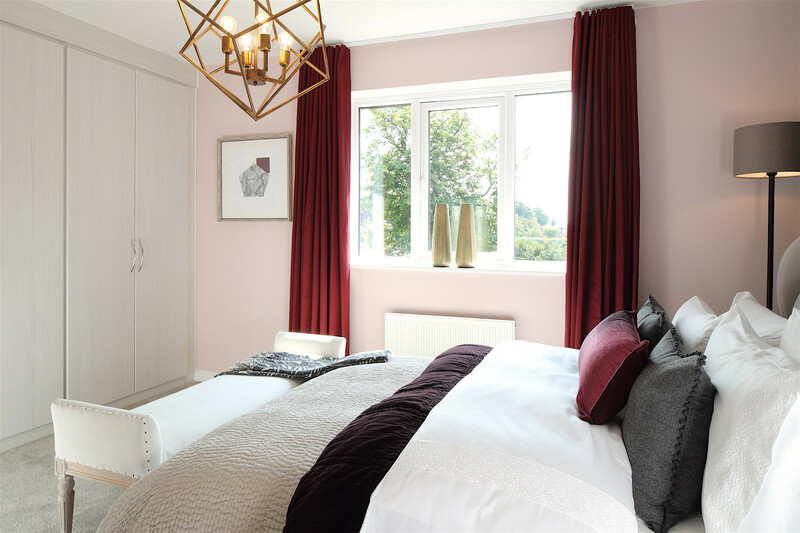 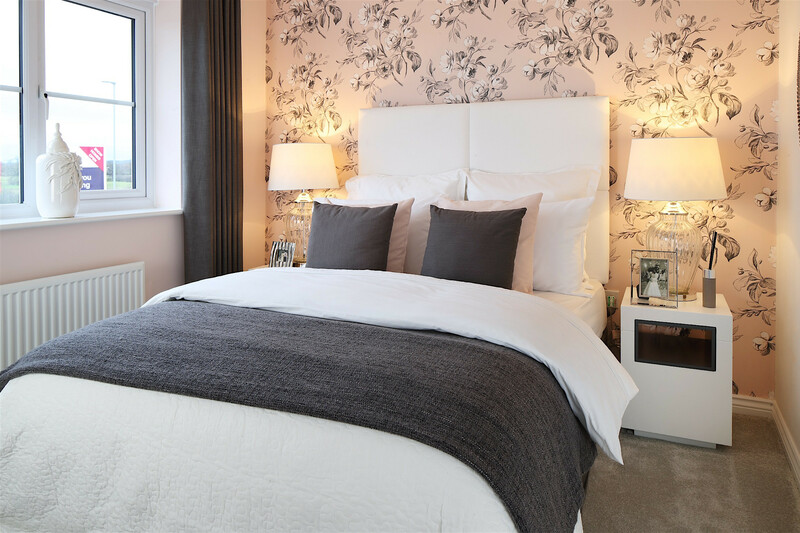 With 4 double bedrooms and a carefully considered layout, The Shelford makes the ideal family home. 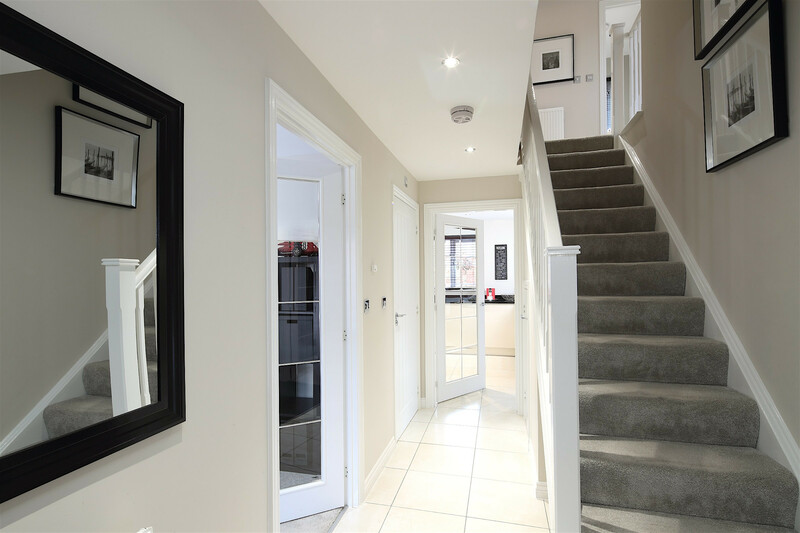 Double doors from the living room open into the kitchen/dining area, which is enhanced by French doors to the rear garden. 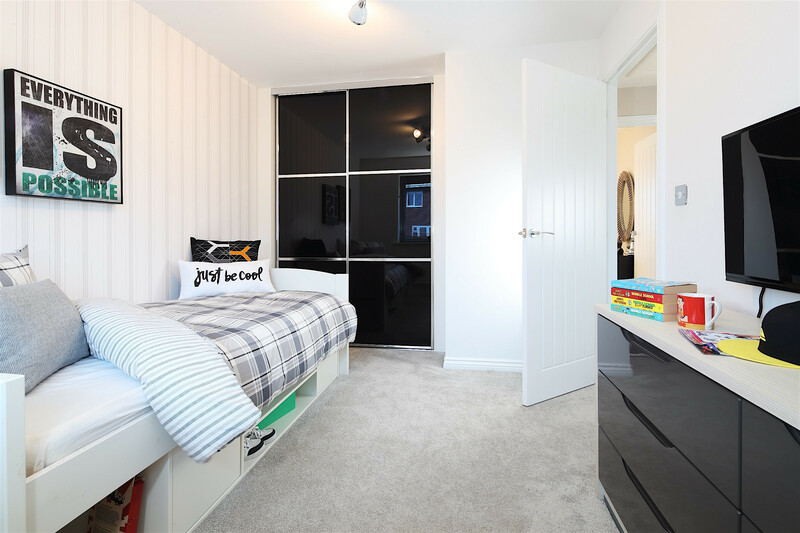 The dedicated study provides valuable workspace and the cloakroom and storage cupboard take care of the practical sides of life. 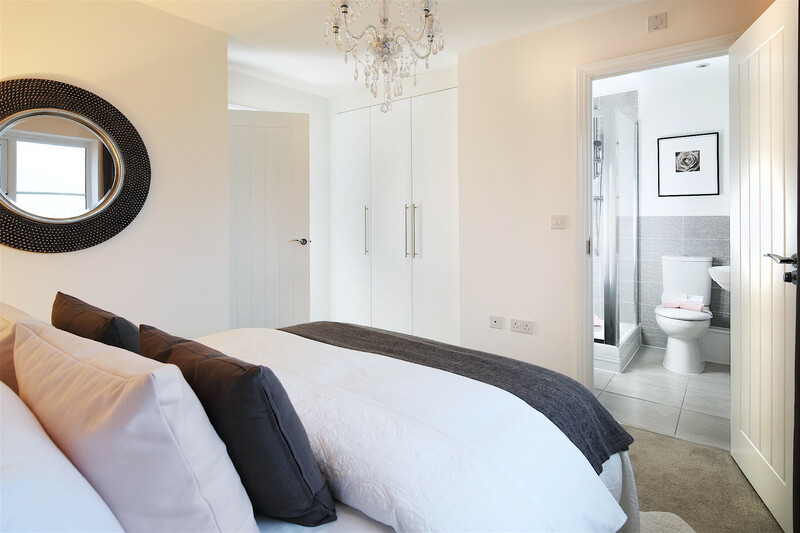 Upstairs is home to the four double bedrooms, of which the master bedroom enjoys the added luxury of an en suite shower room. 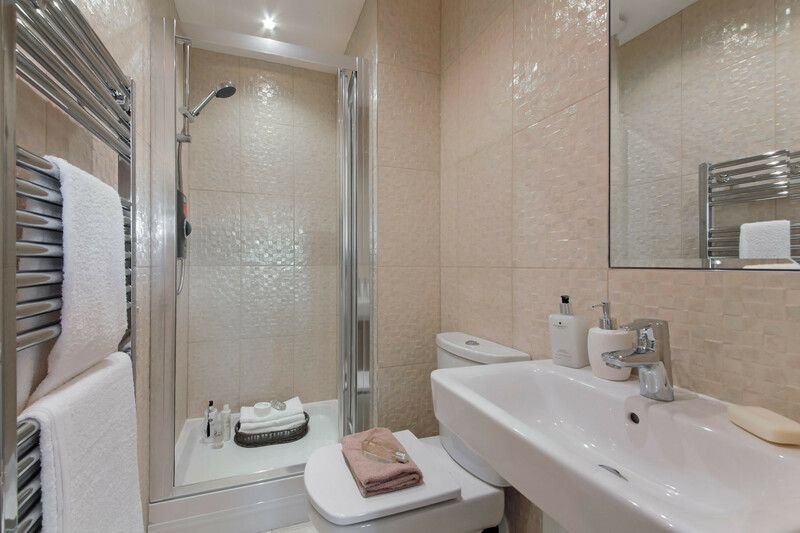 The main bathroom serves the remaining bedrooms. 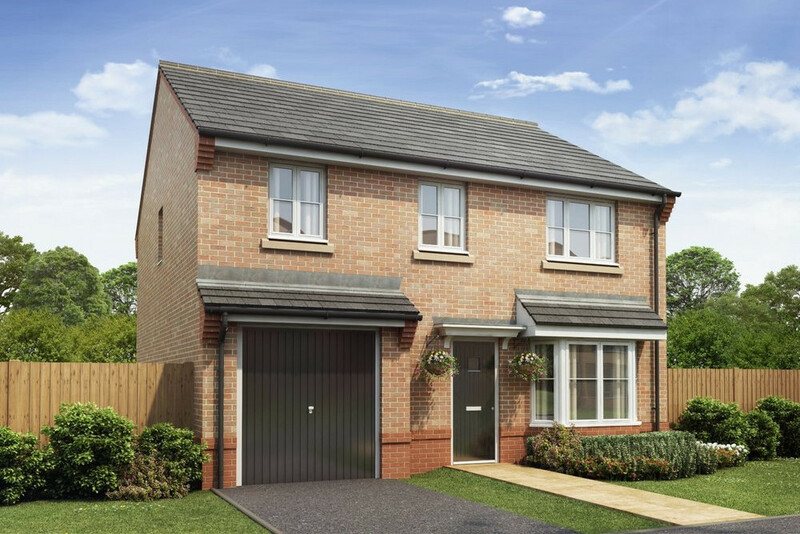 The Shelford has a detached garage, perfect to house an additional car or provide extra storage space. 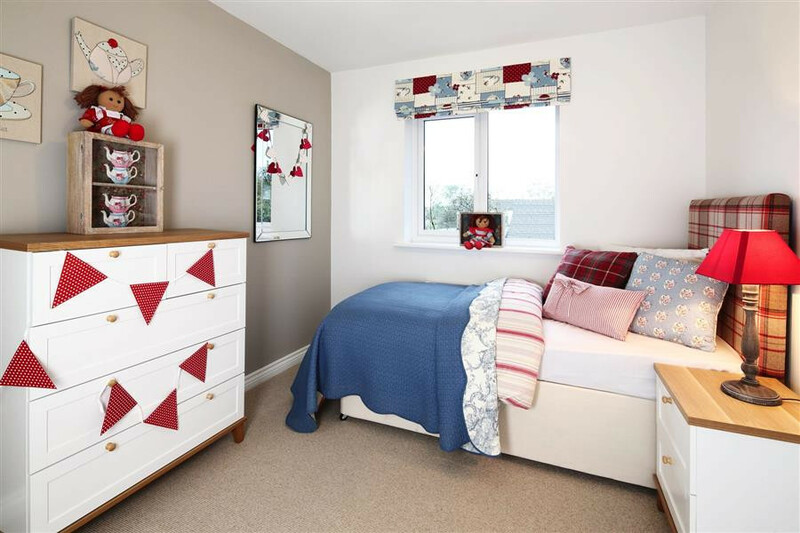 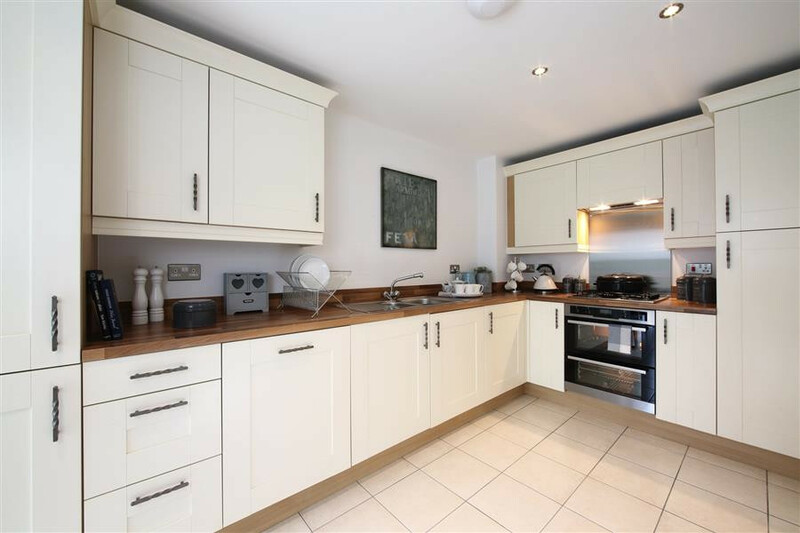 This delightful 4 bedroom home has the space and light needed for the ideal family home. 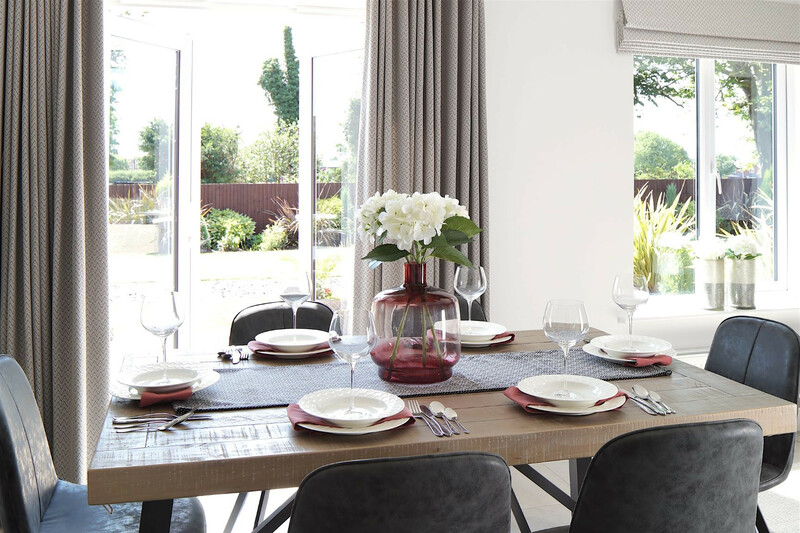 The generously sized kitchen/dining/family area features French doors opening onto the rear garden and is a truly welcoming place to start the day, while being ideal for entertaining. 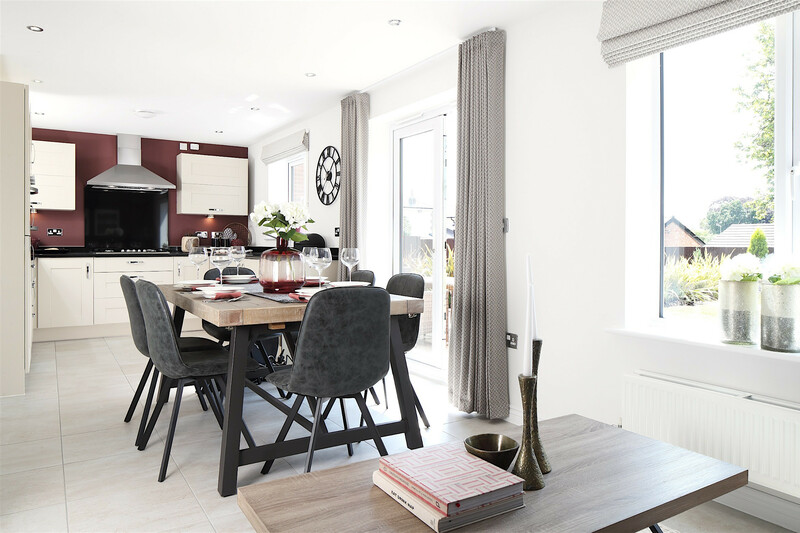 The light and airy living room is perfect for relaxation and quality family time, with a bay window and double doors opening onto the dining area. 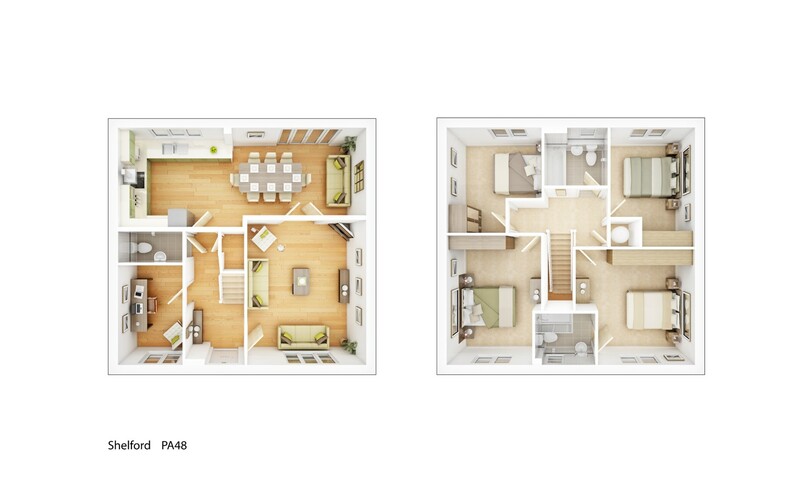 The first floor is home to the four bedrooms, three of which are doubles, while bedroom four could be a perfect home office. 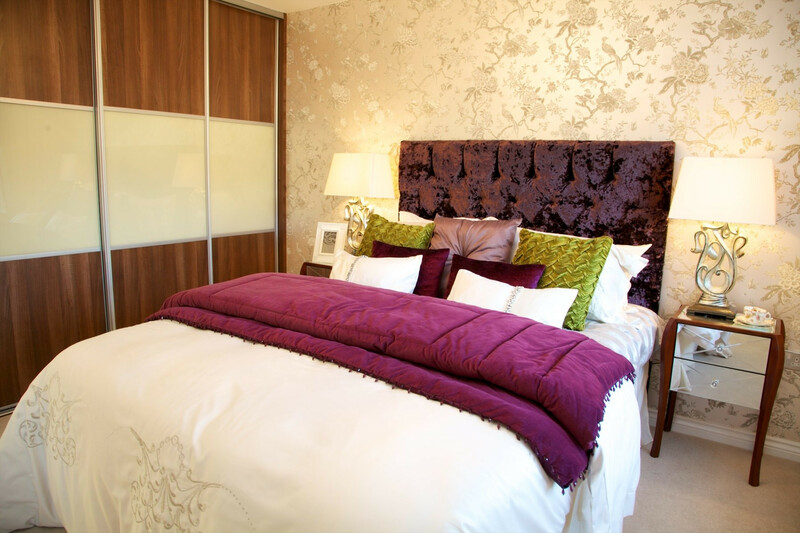 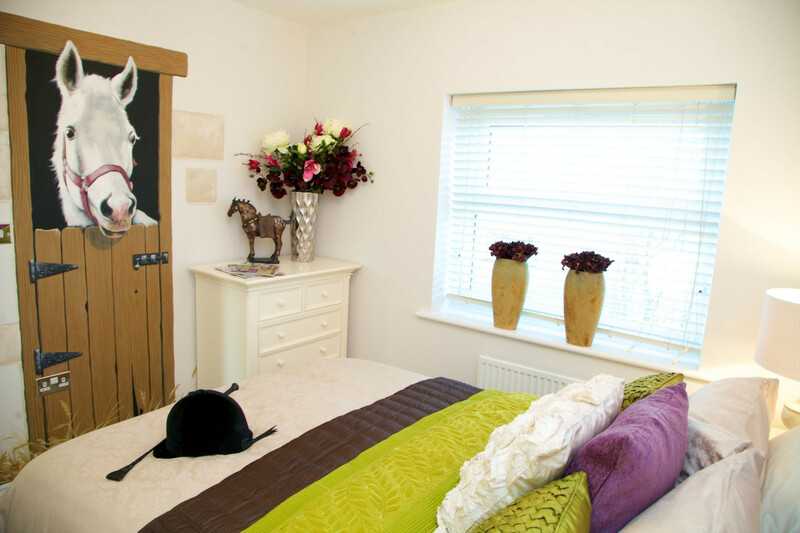 Three of the bedrooms are served by the family bathroom and the master enjoys the additional luxury of an en suite. 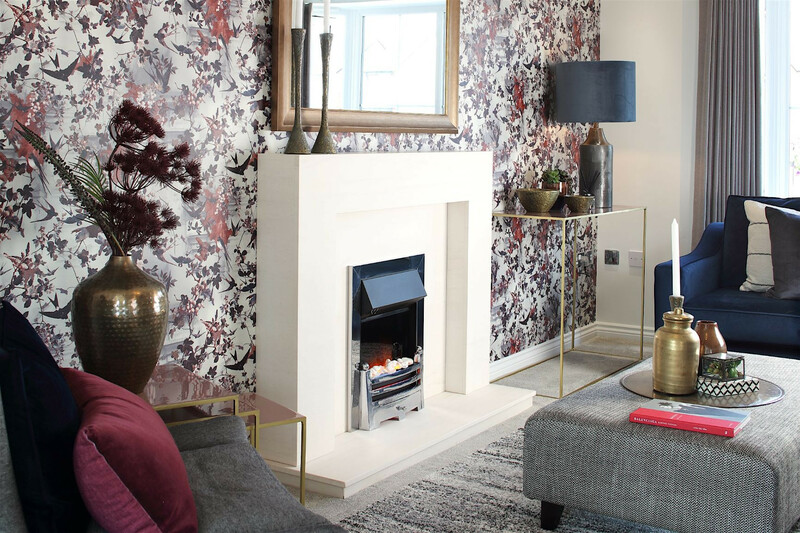 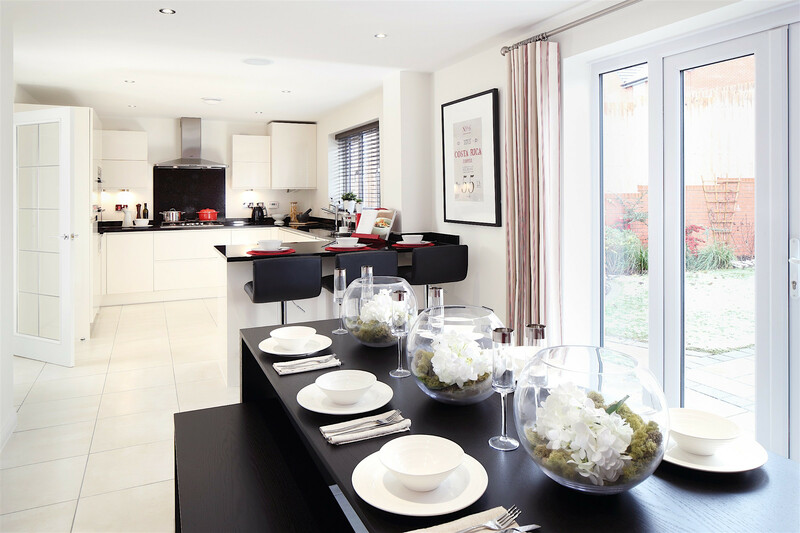 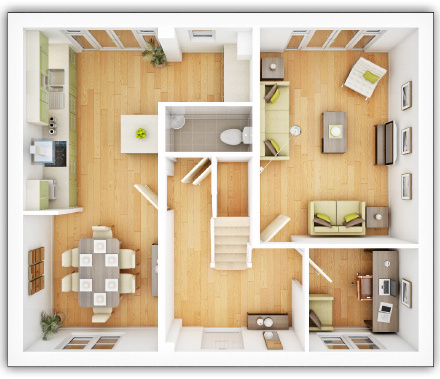 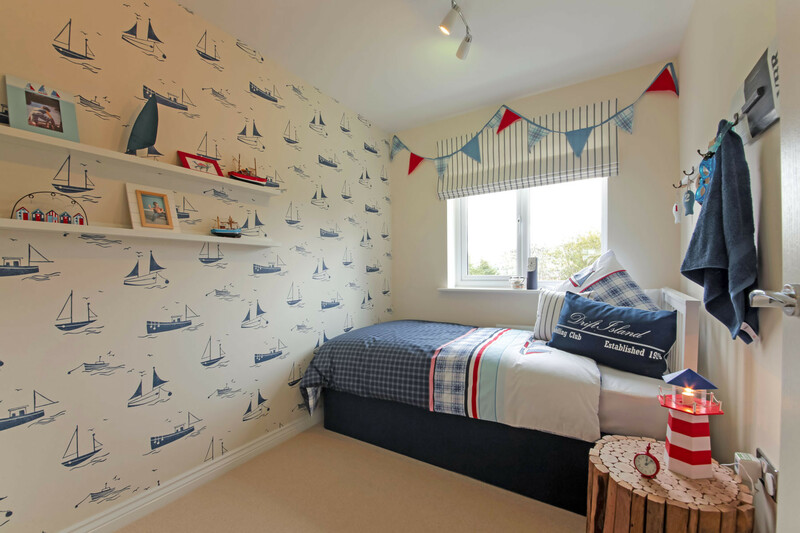 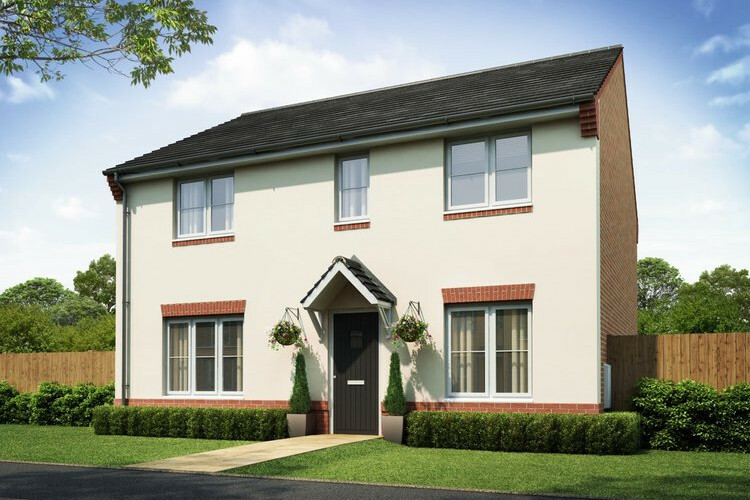 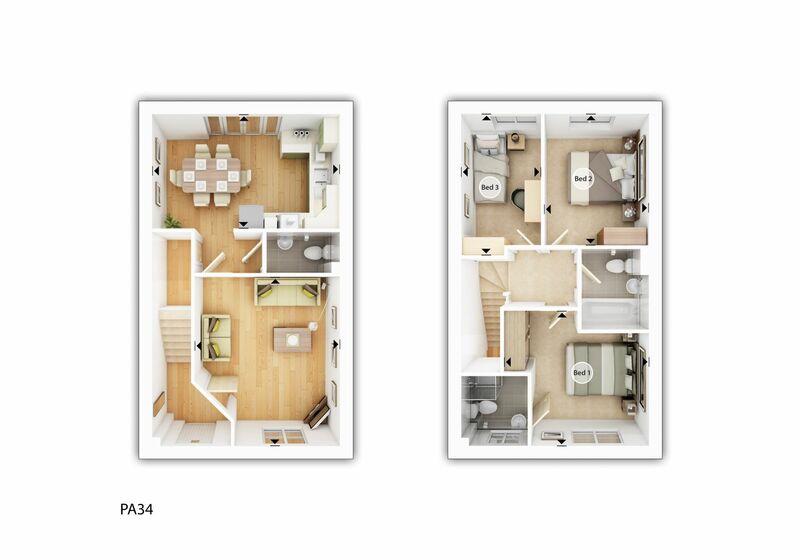 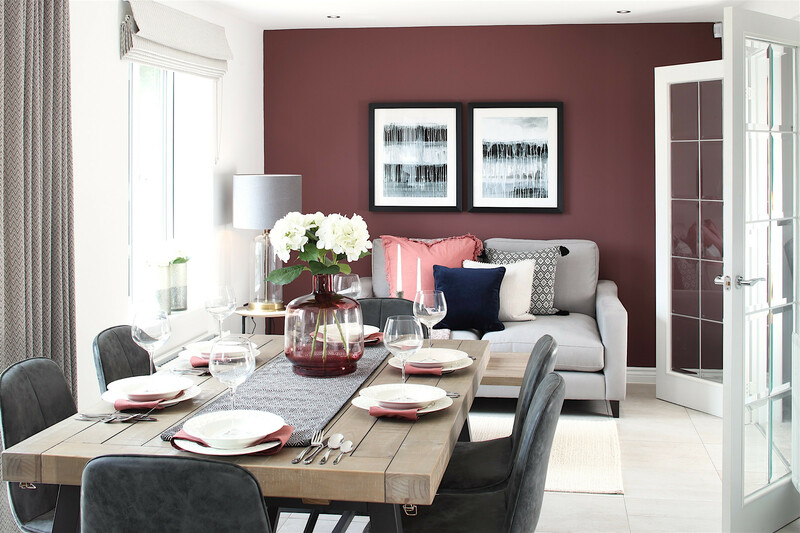 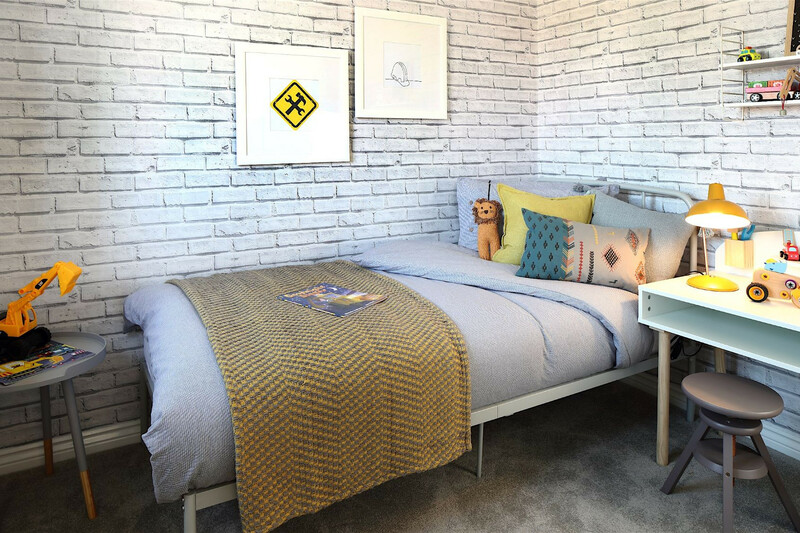 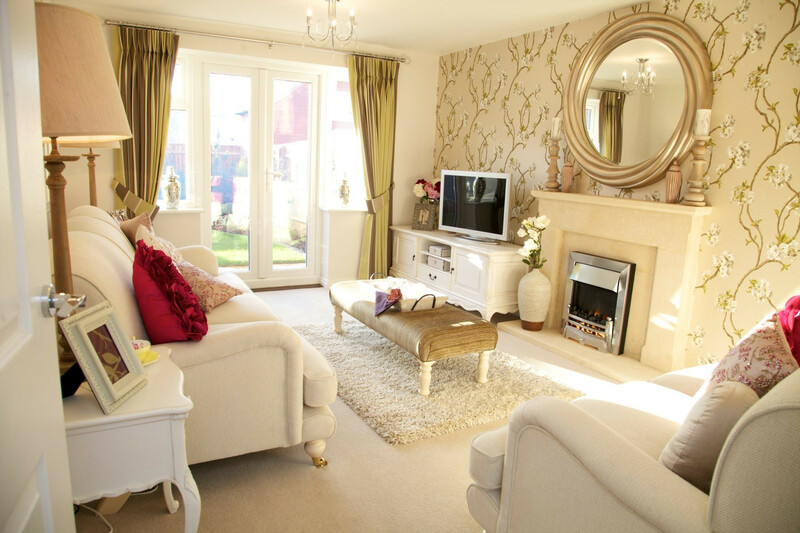 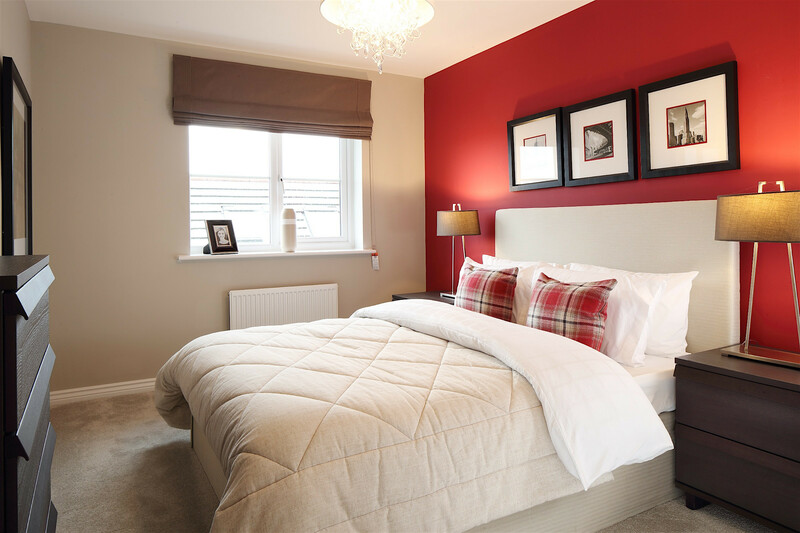 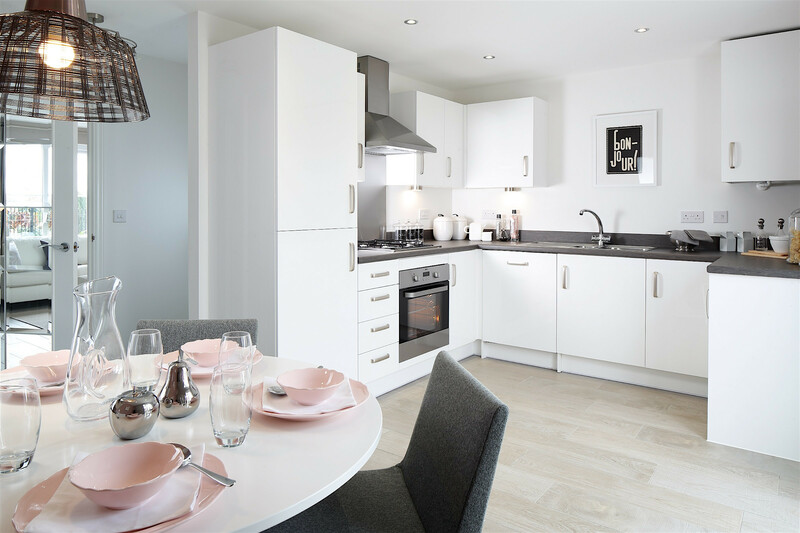 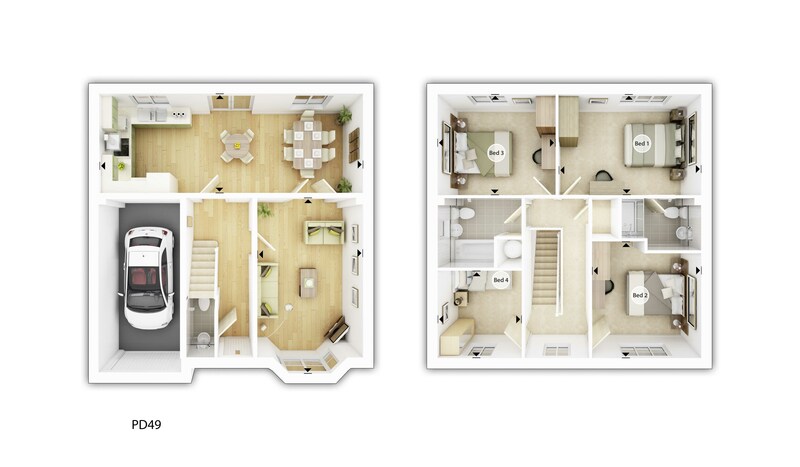 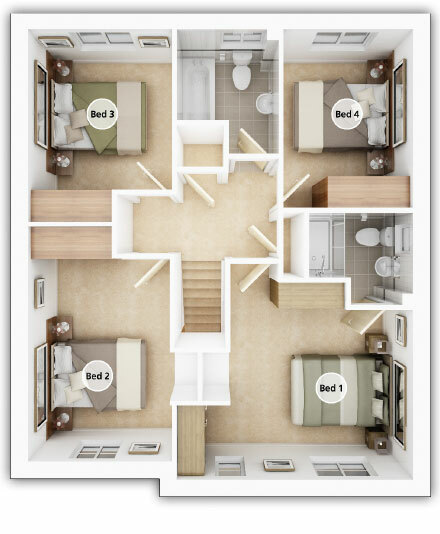 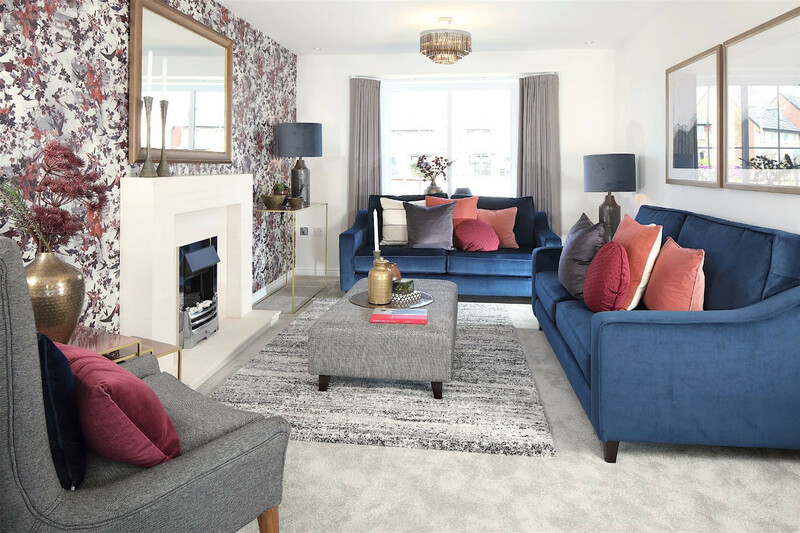 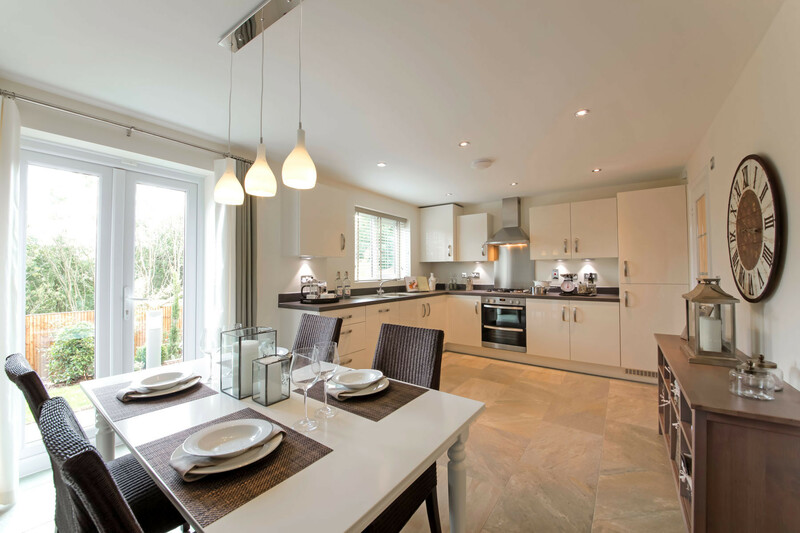 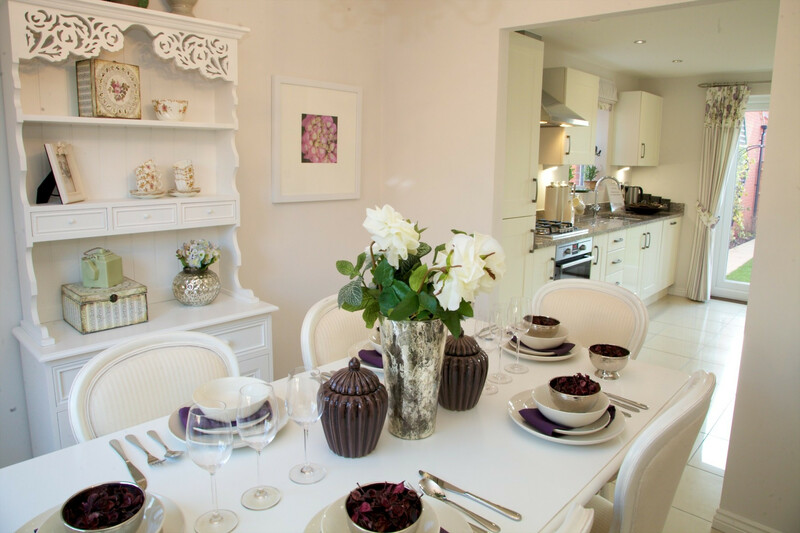 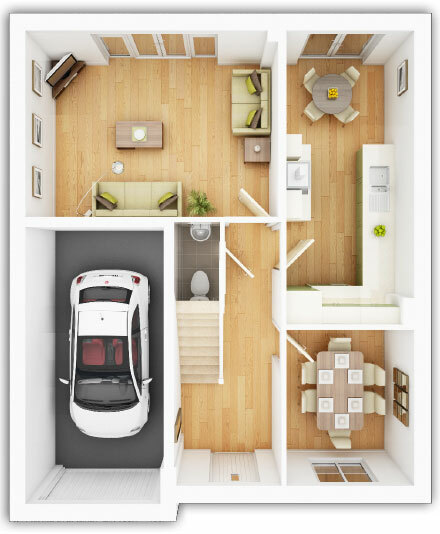 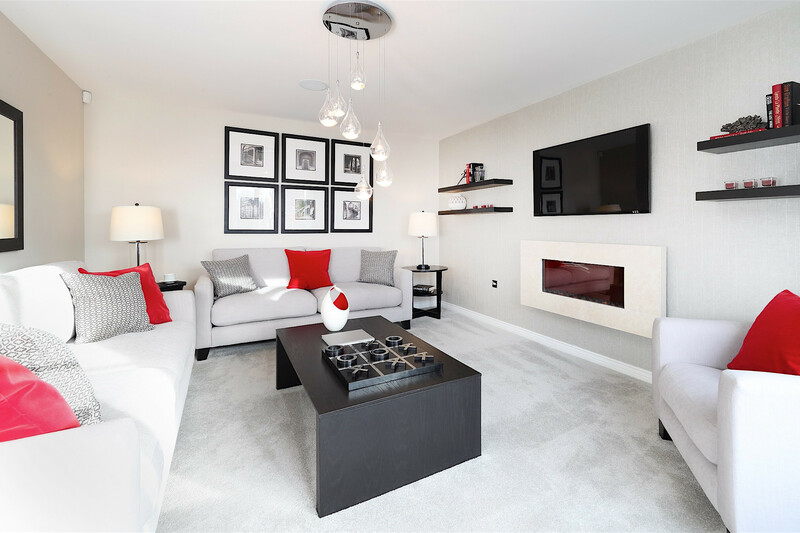 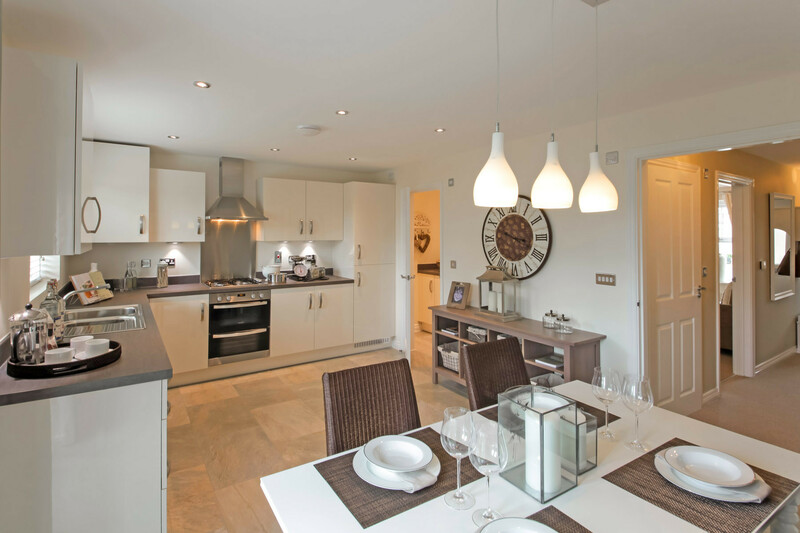 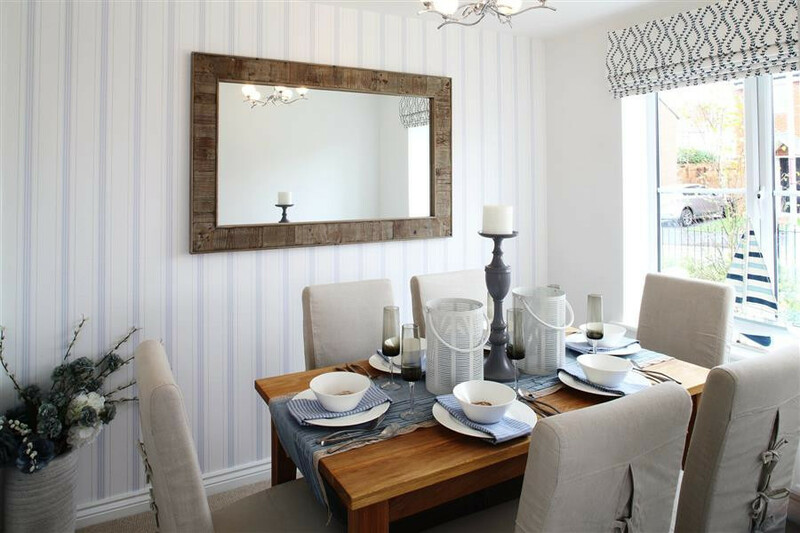 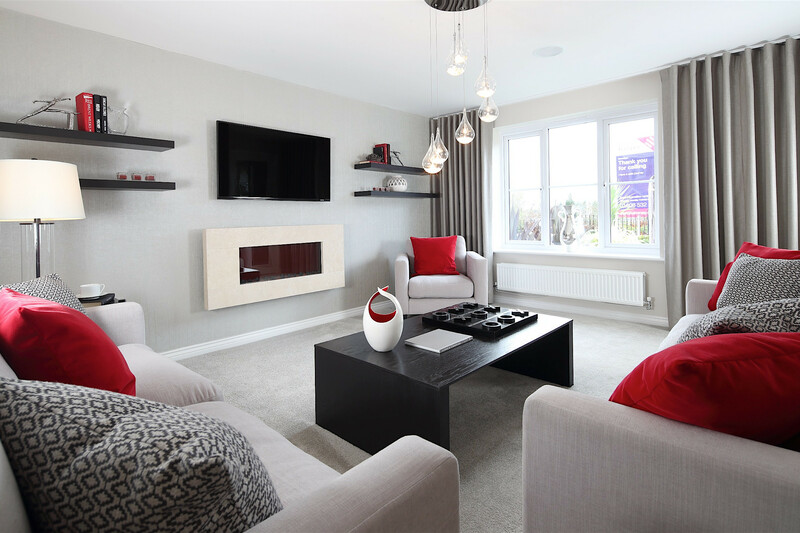 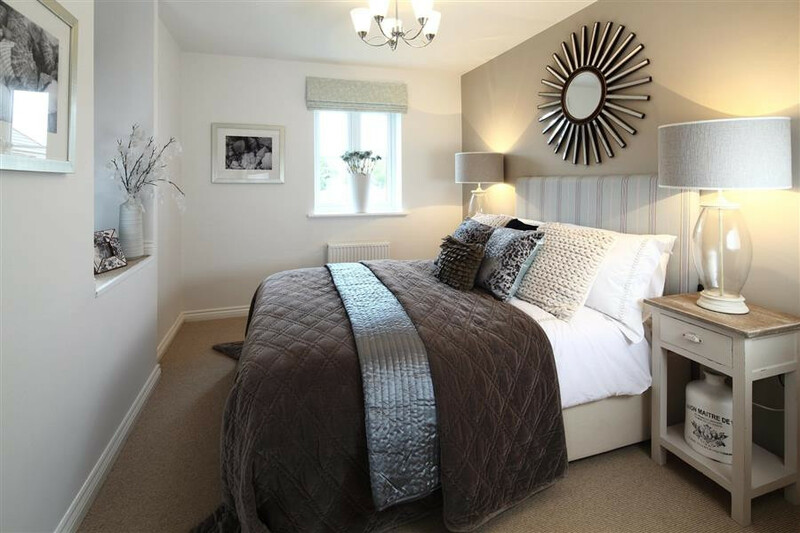 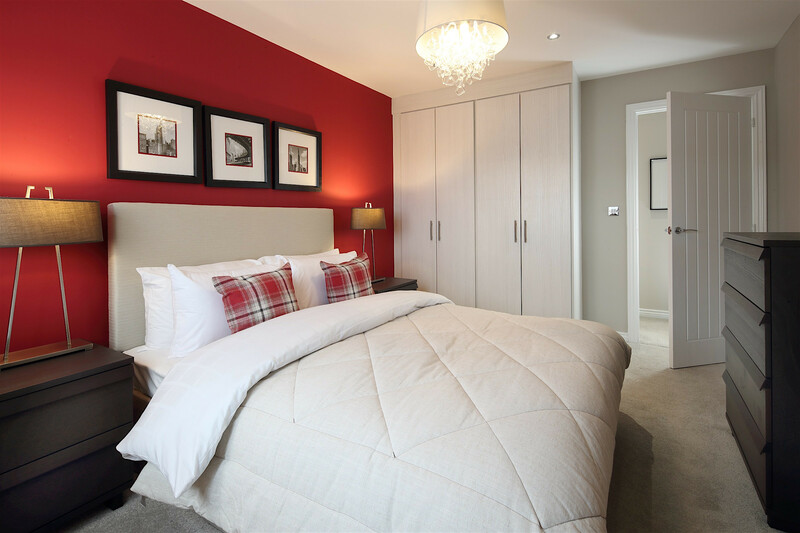 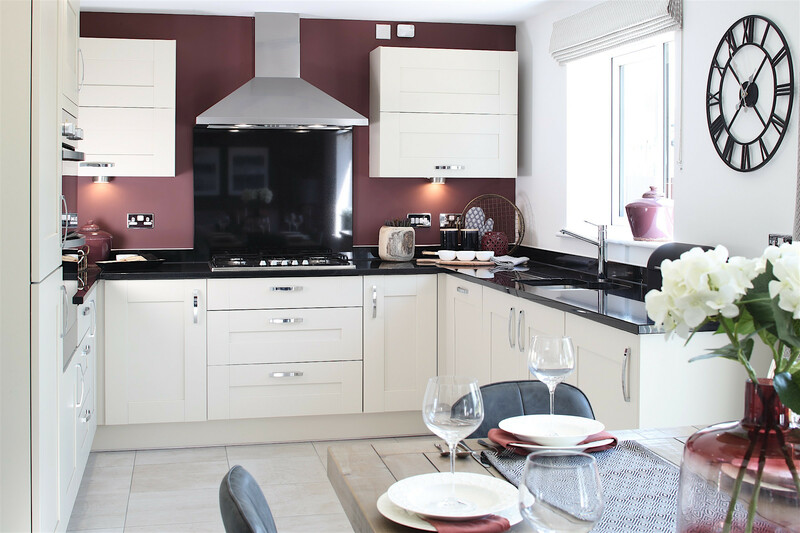 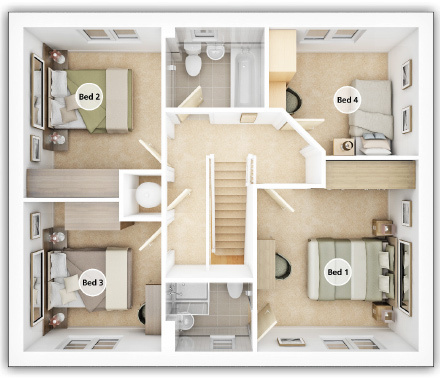 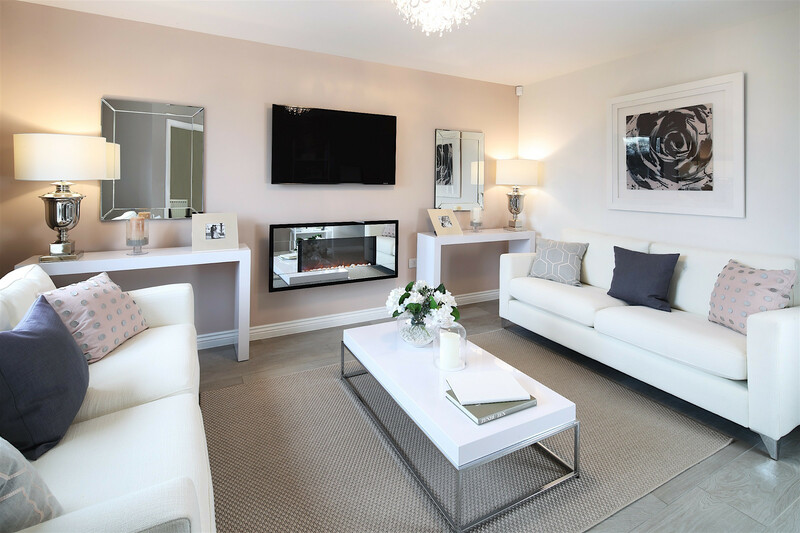 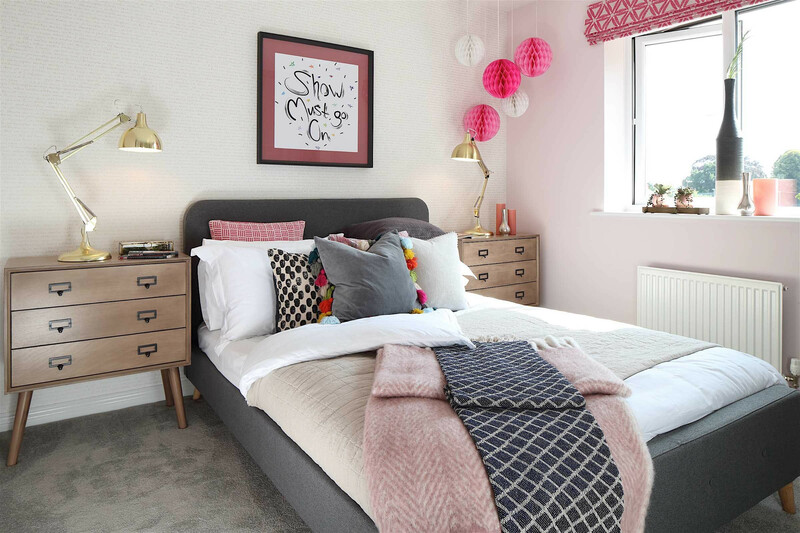 With space, style and comfort on offer, The Lydford is perfect for contemporary family living. 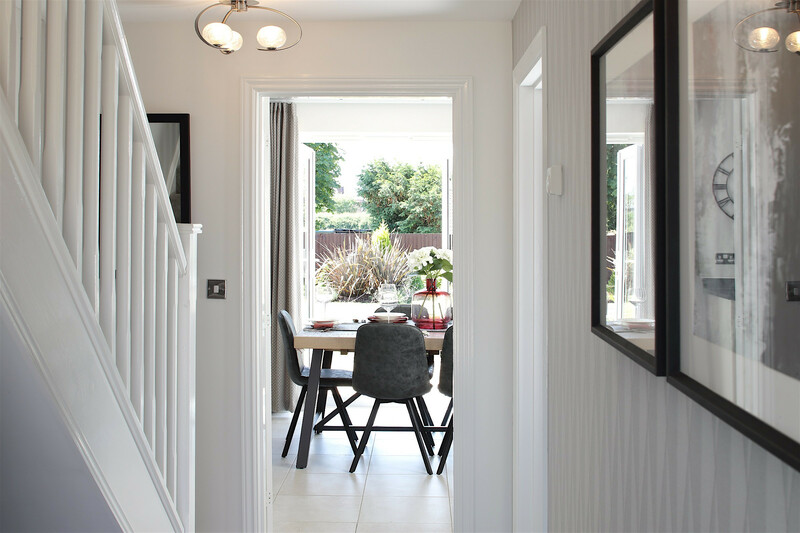 On the ground floor, the dining room boasts French doors to the rear garden. 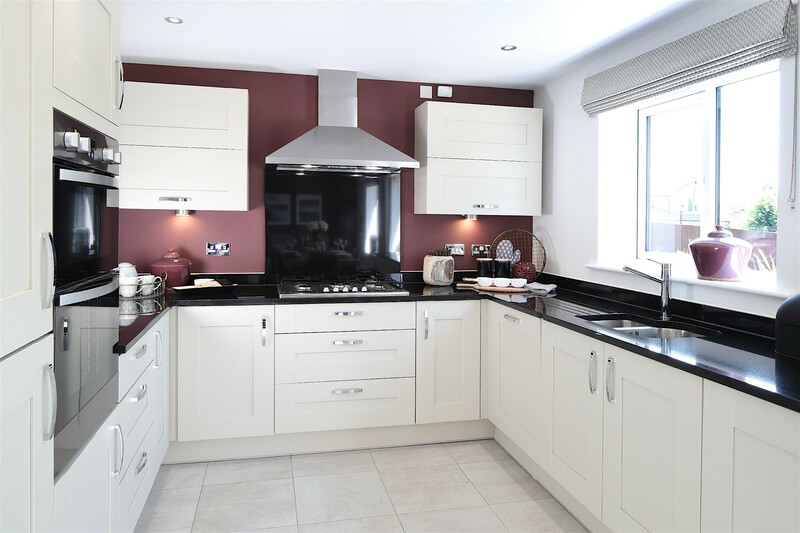 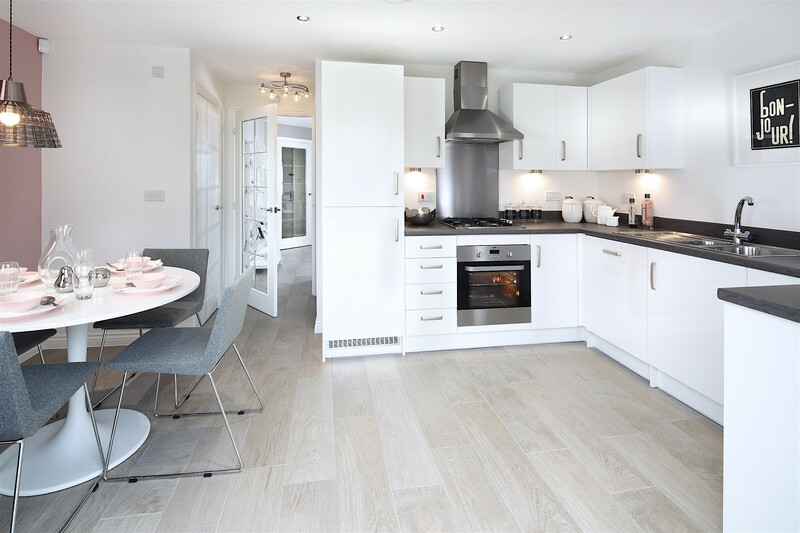 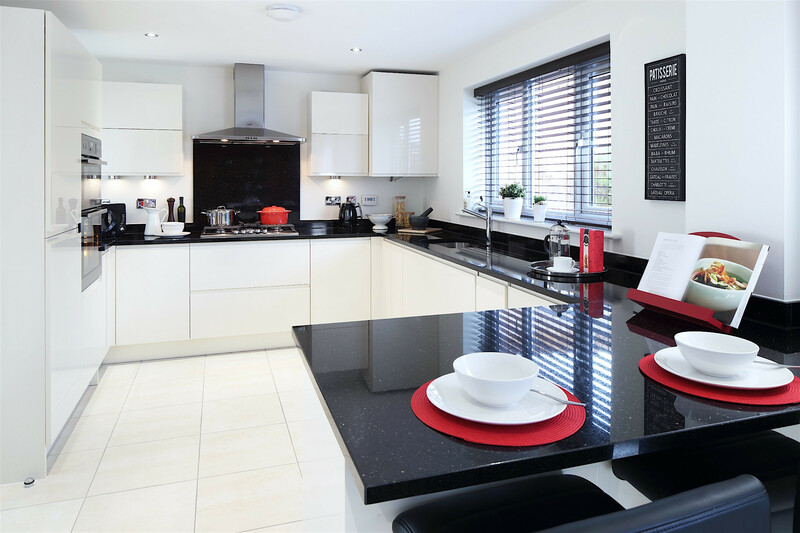 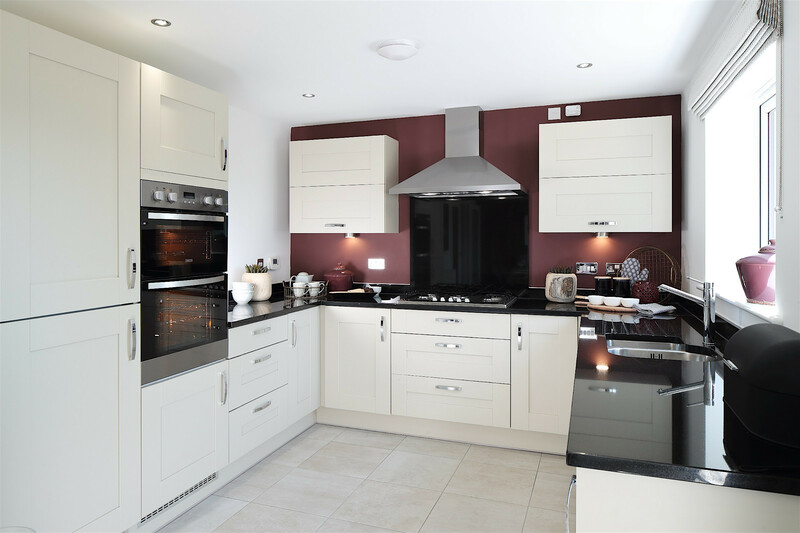 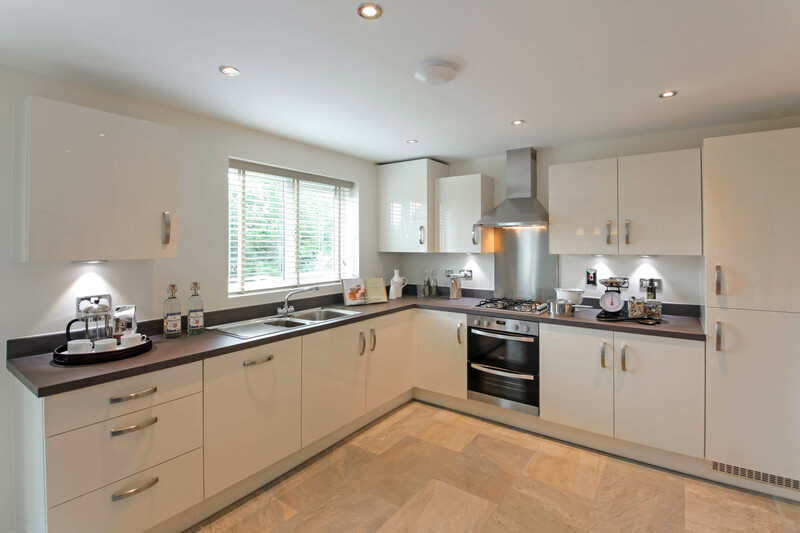 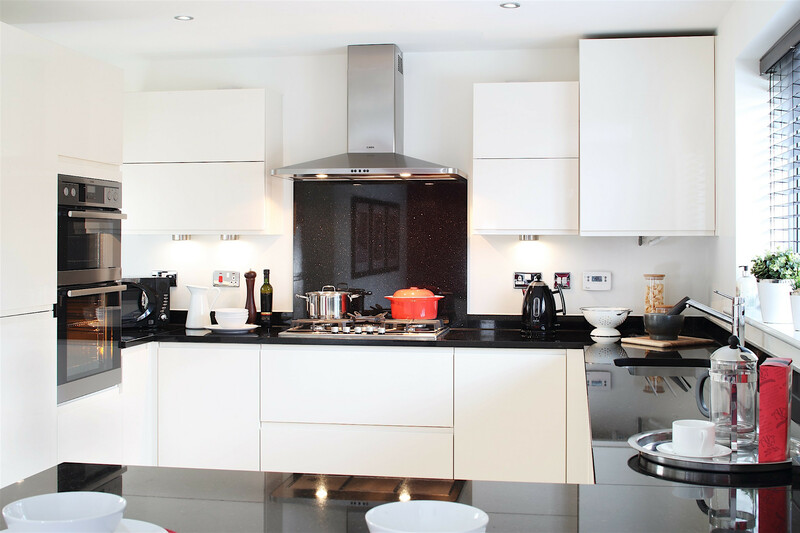 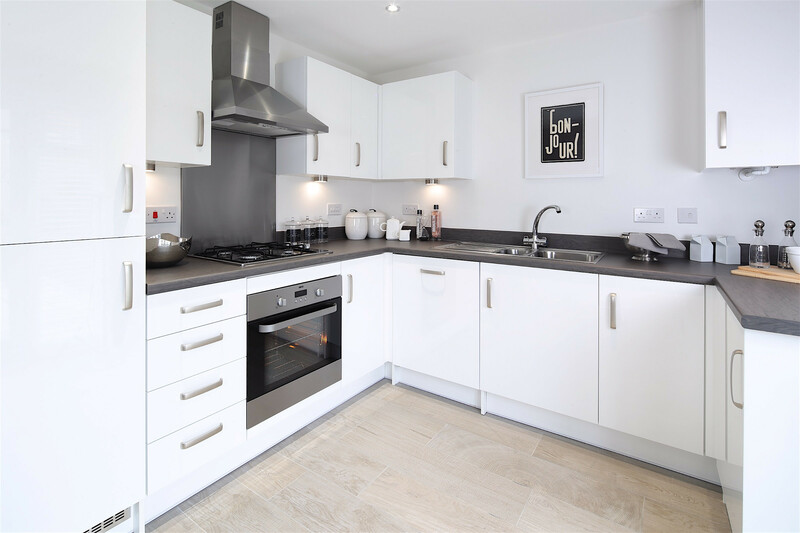 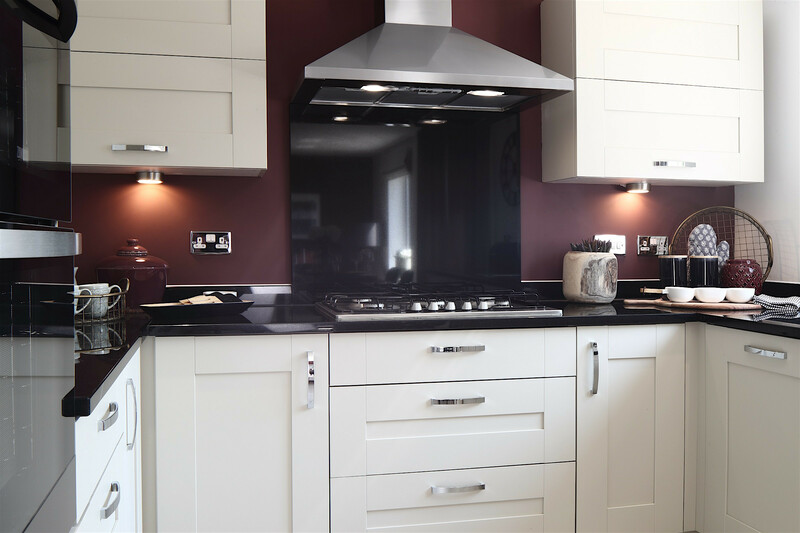 You can cook up a storm in the kitchen with utility, whilst the family room provides additional living space. 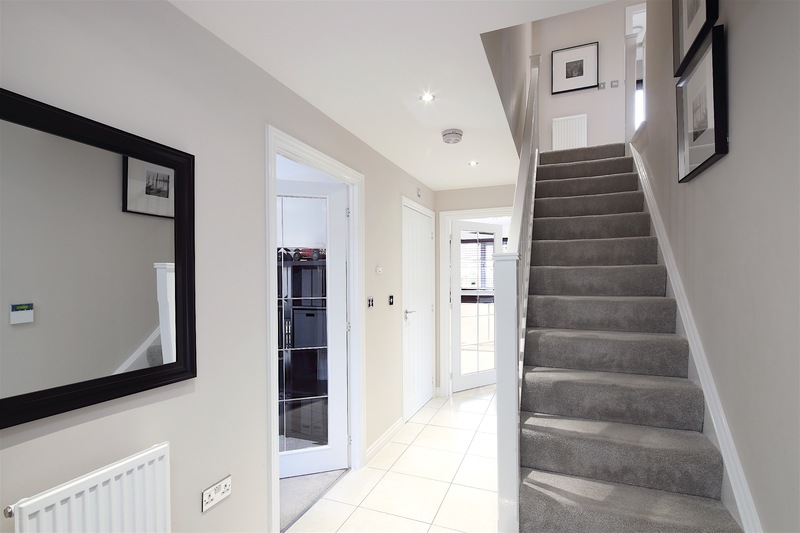 The under stairs cupboard and downstairs cloakroom are welcome practical additions. 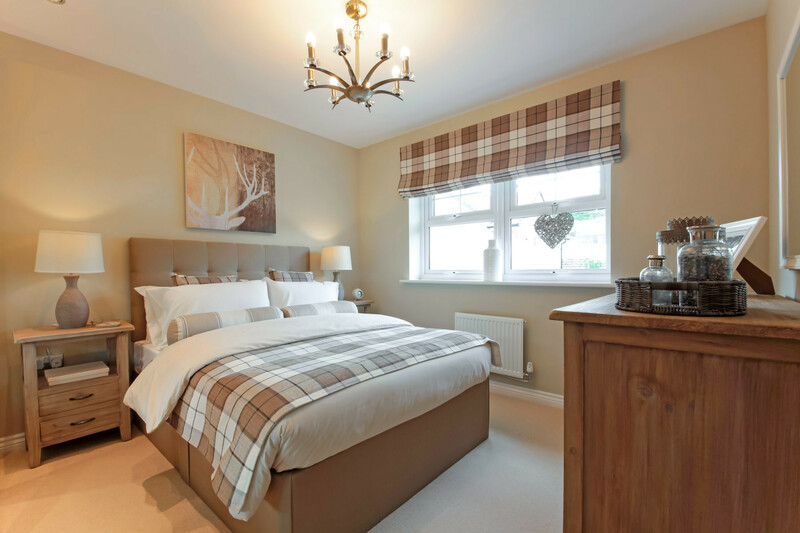 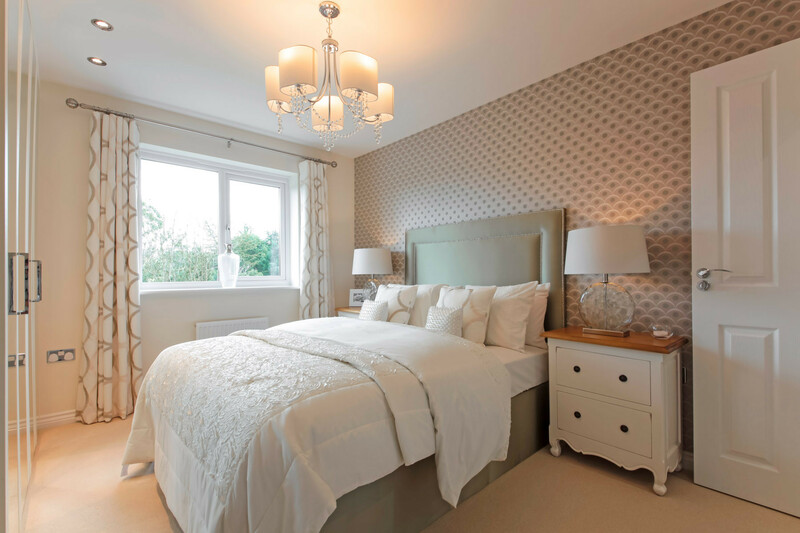 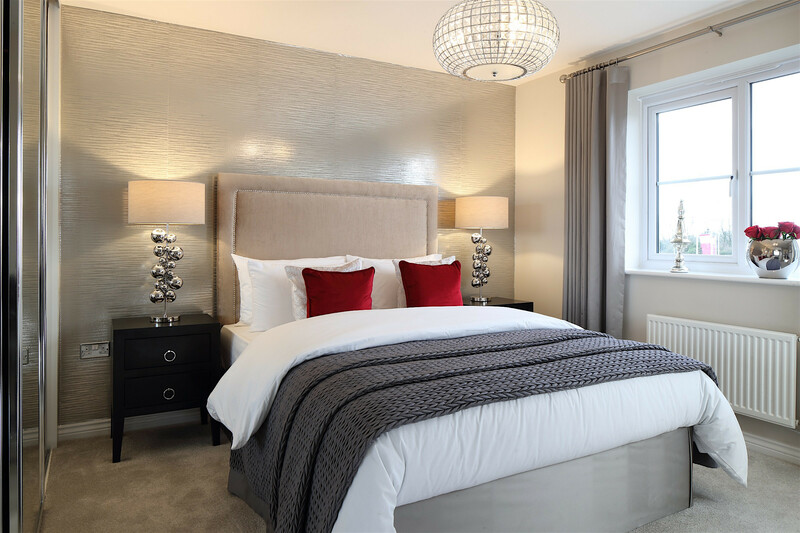 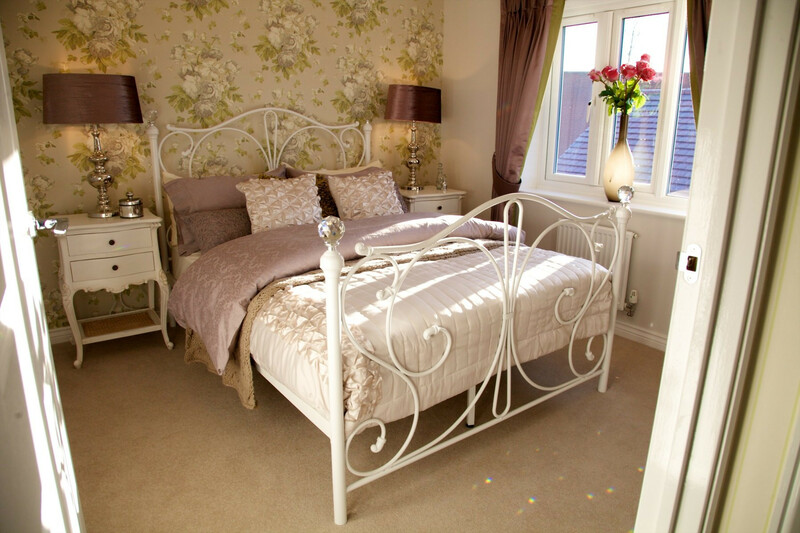 On the first floor you’ll find four bedrooms, with the master enjoying its own en suite. 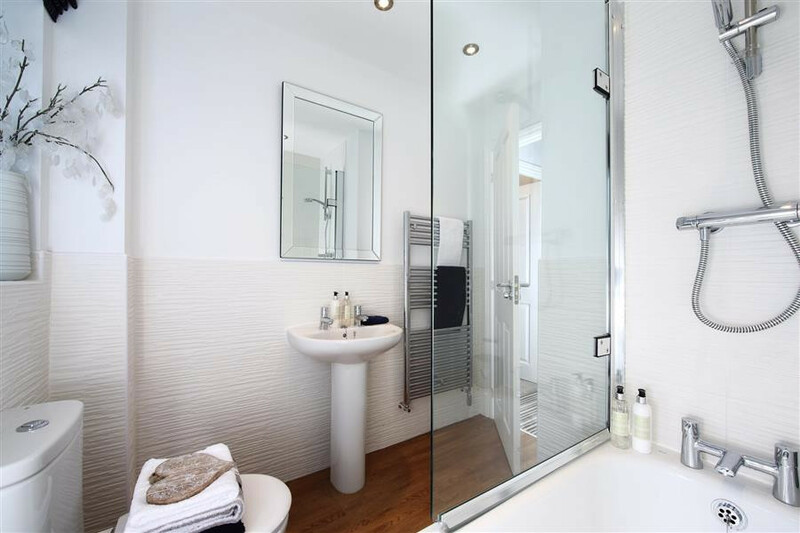 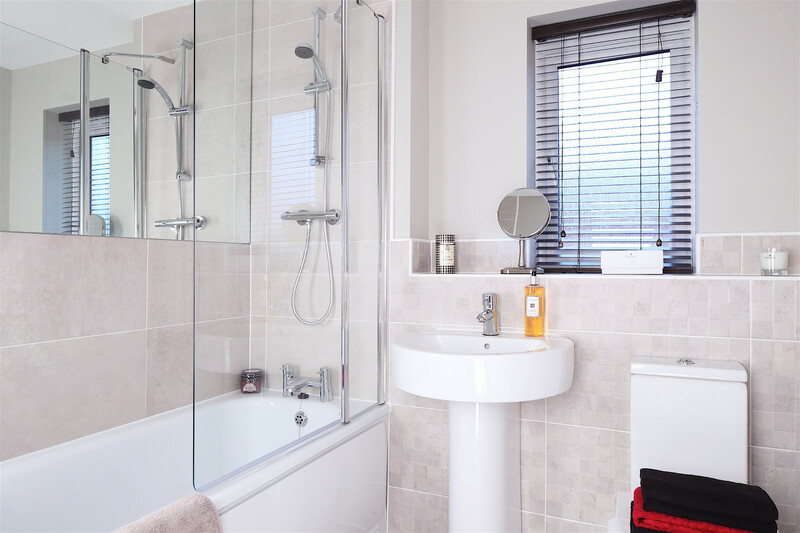 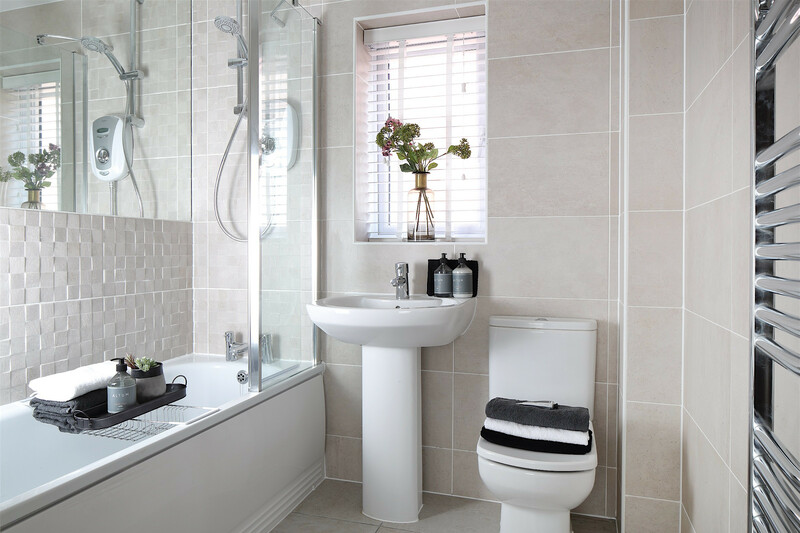 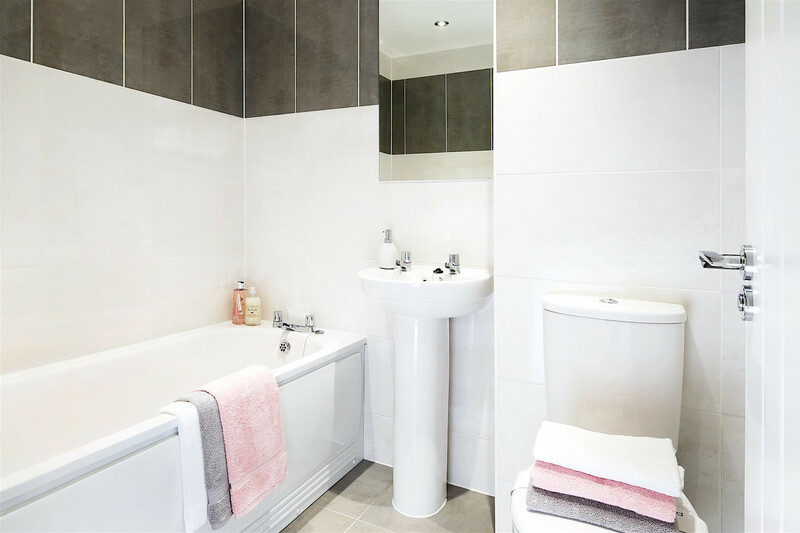 The family bathroom serves the other three bedrooms and completes this stunning home. 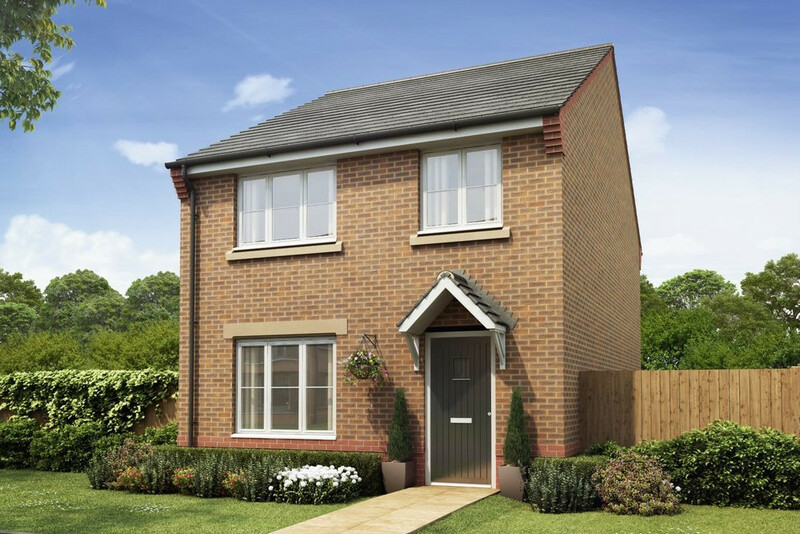 This stunning 4 bedroom home provides all you need for spacious family living. 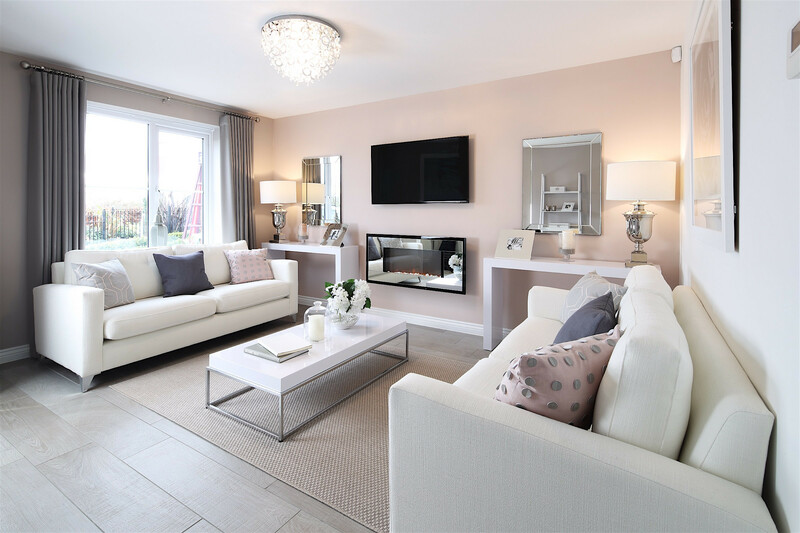 The welcoming living room provides the perfect space to unwind featuring French doors, while the modern kitchen has extra storage in the form of a separate utility room and also features French doors. 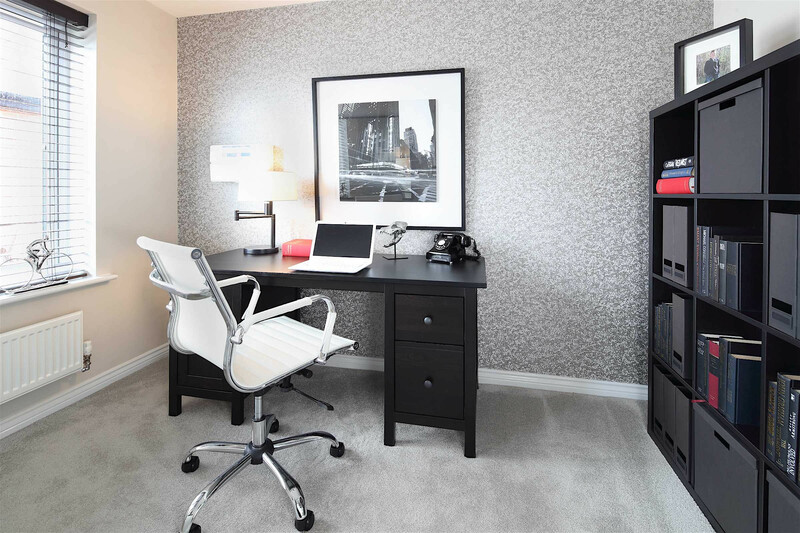 A study creates an ideal work space and the dining room can be used for entertaining or simply dining with the family. 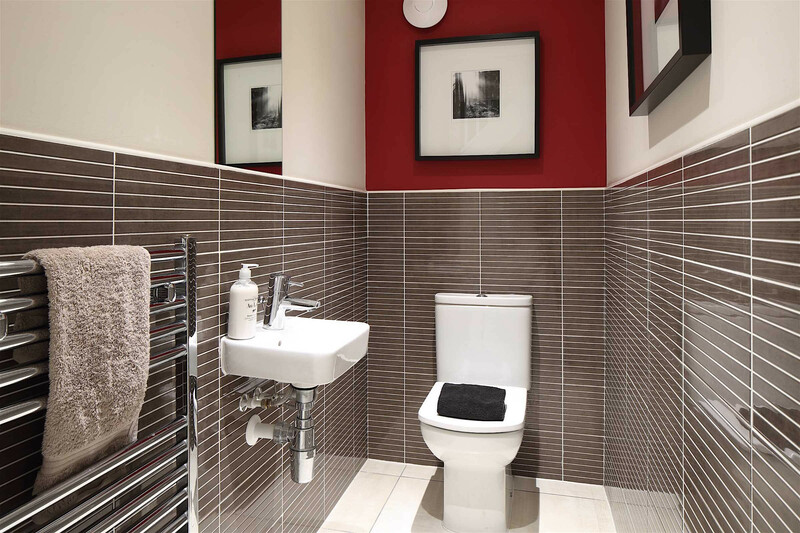 The storage cupboard and downstairs cloakroom not only minimise any unwanted clutter but add a touch of practicality. 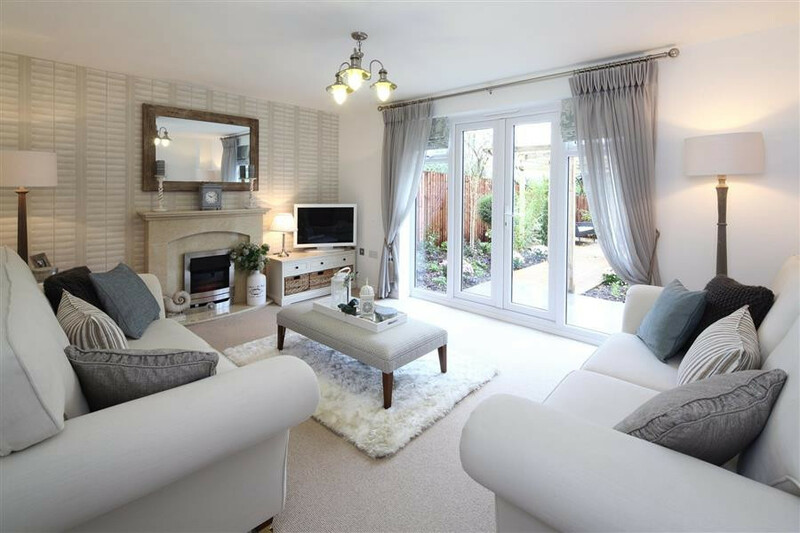 This substantial 4 bedroom family home makes great use of space and light. 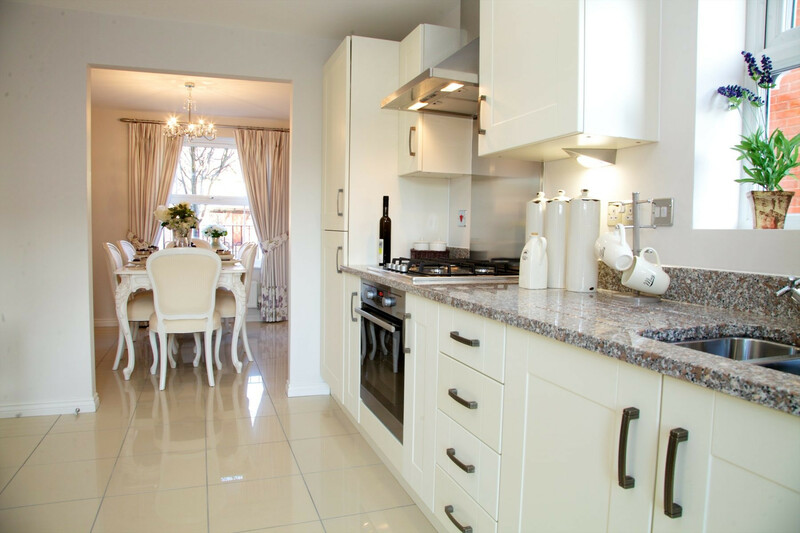 The kitchen/breakfast area is the ideal place to start the day and features French doors opening onto the rear garden. 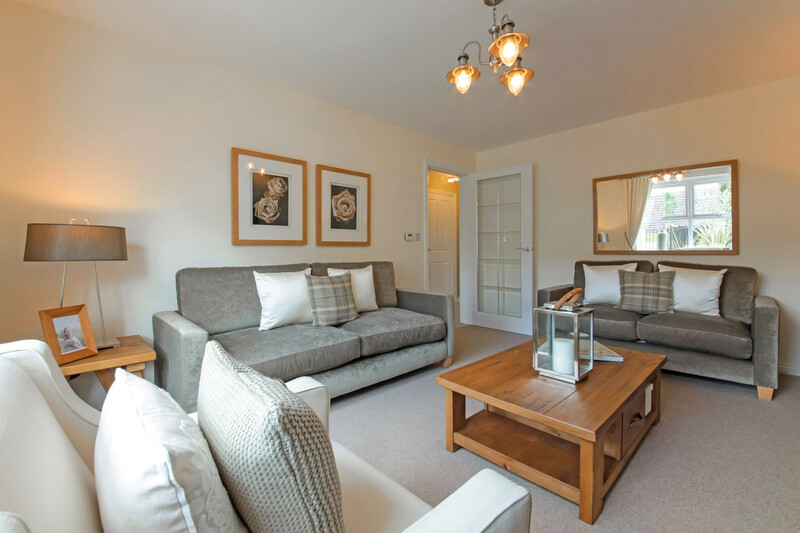 The light and airy living room is perfect for relaxing and quality family time and also benefits from French doors opening onto the garden. 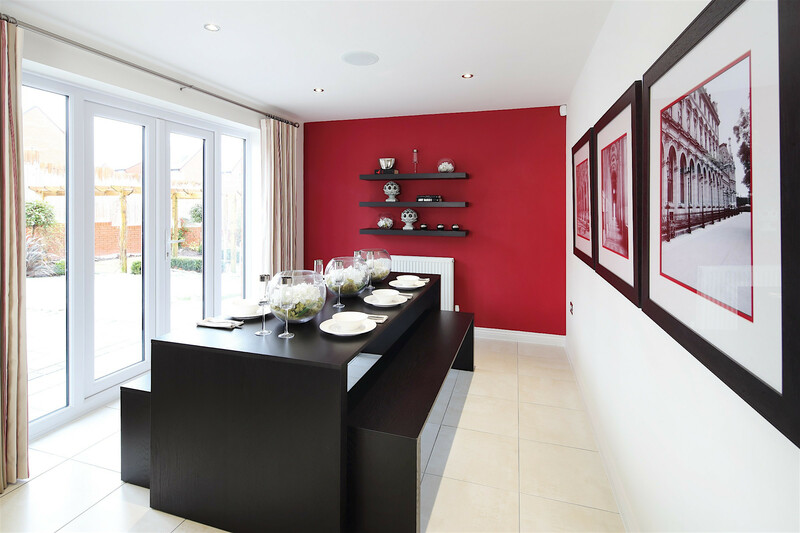 The separate dining room enhances family mealtimes and entertaining guests. 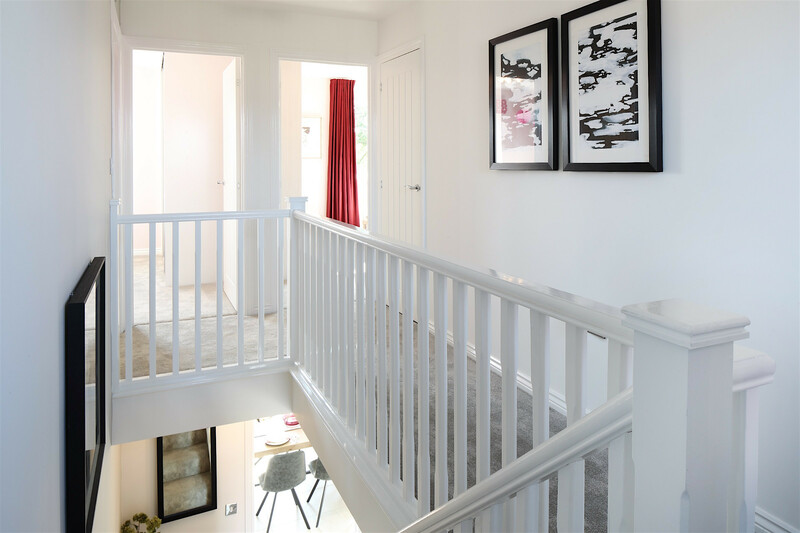 On the first floor, a storage cupboard on the landing adds to the practical aspect of the design, while the four bedrooms, all doubles, make good use of space. 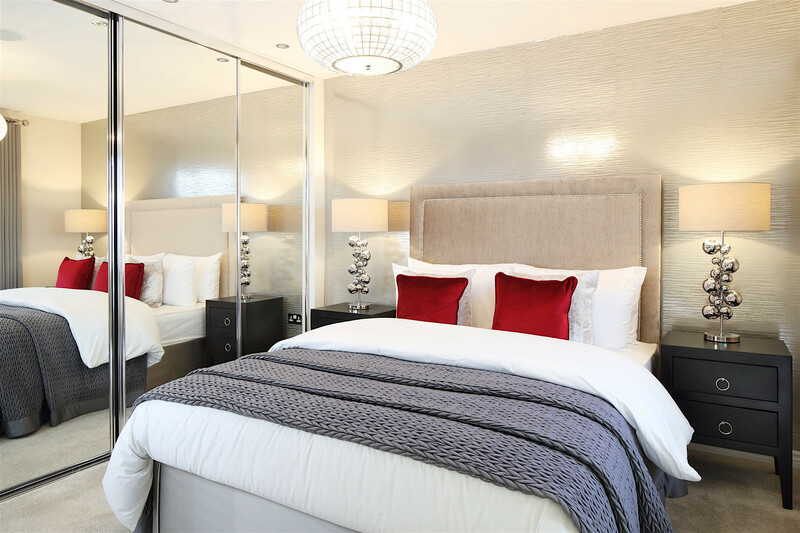 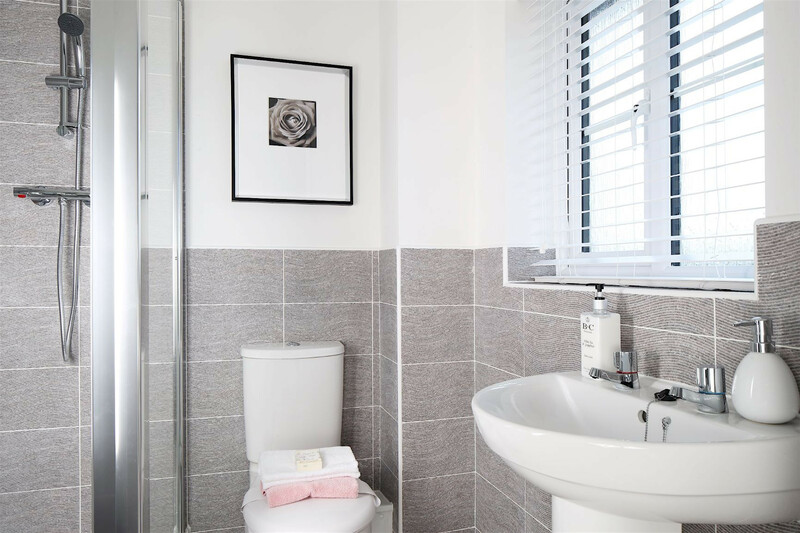 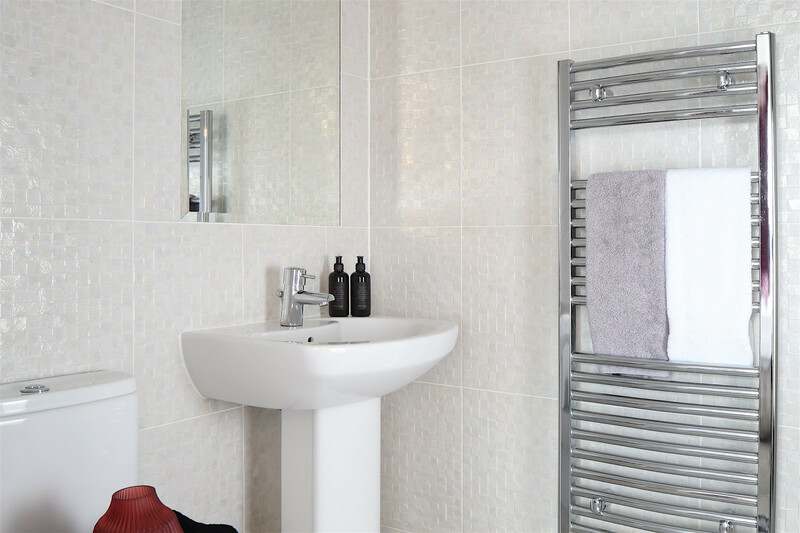 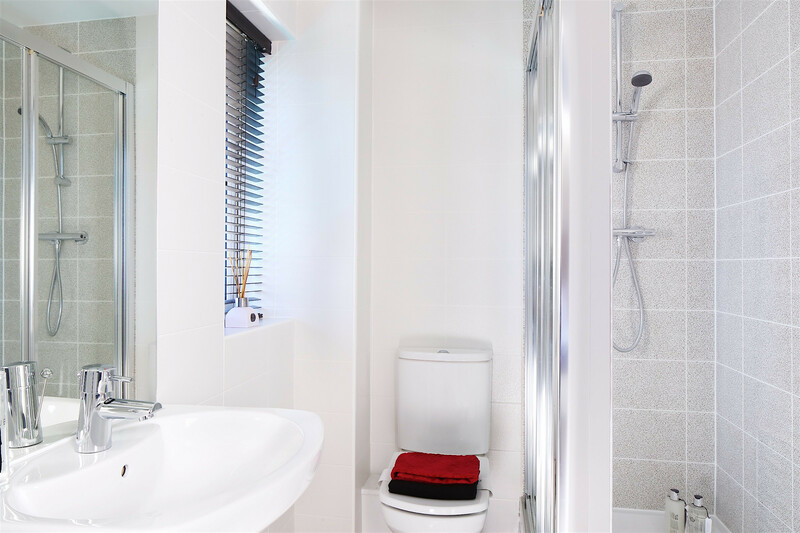 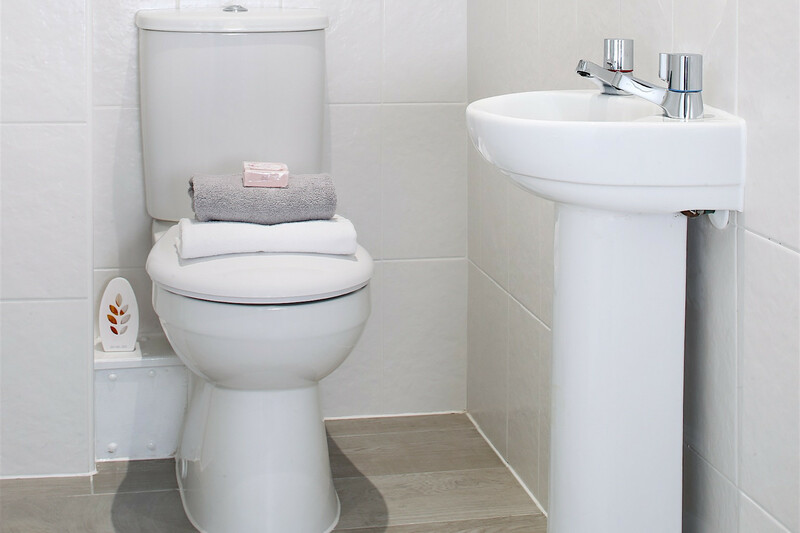 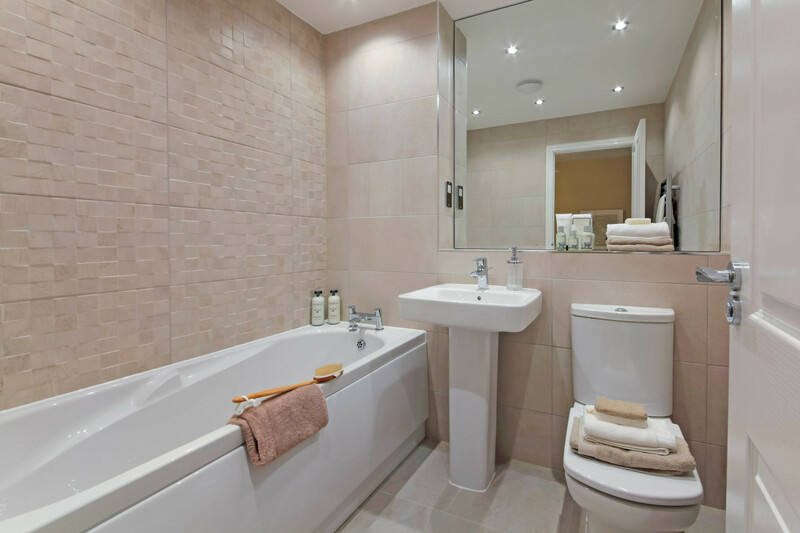 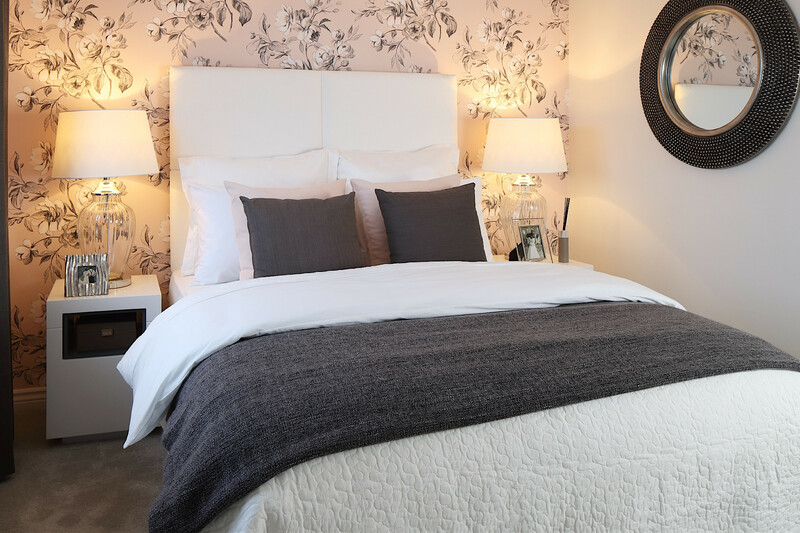 Three of the bedrooms are served by the family bathroom, while the master enjoys the luxury of an en suite.